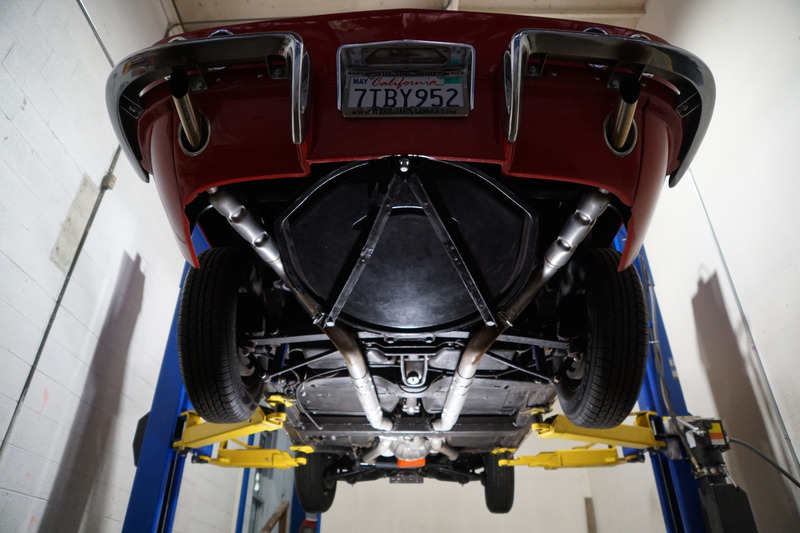 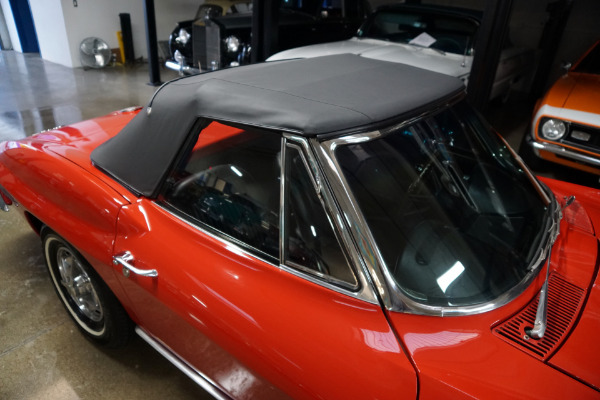 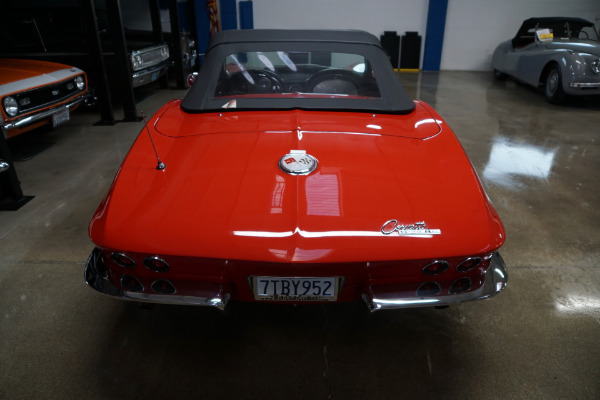 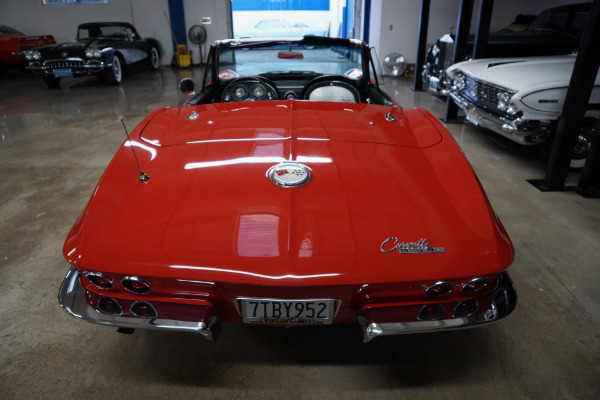 West Coast Classics are proud to present a mostly all original early model 1963 Chevrolet Corvette Convertible Roadster with what appears to be it's original matching # 327cid/340HP L76 V8 'RE' code engine matched to a M20 Muncie 4 speed manual transmission and a Positraction rear axle! 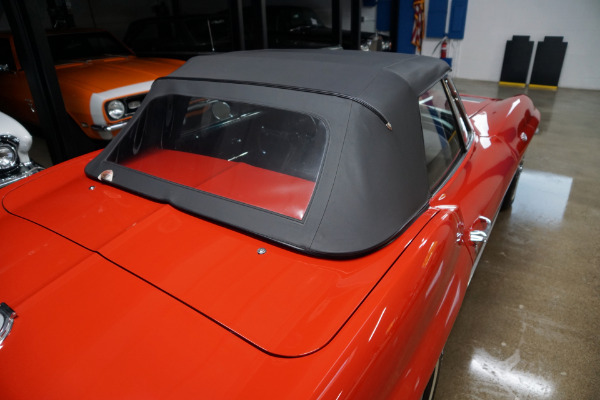 Finished in the car's original 'Riverside Red' color code 923 paint with its original Black vinyl (trim code STD) interior and a new matching Black convertible soft top and with factory steel wheels and hub caps. 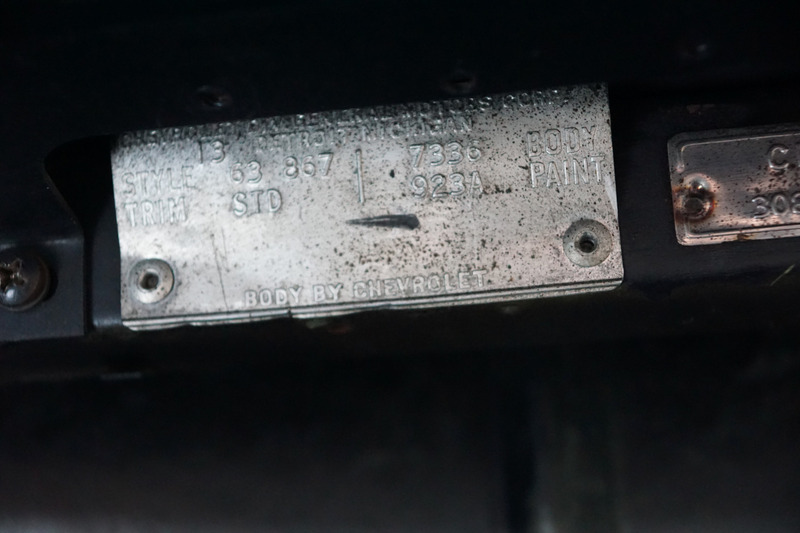 The deck and VIN are carefully preserved with the numbers on the pad reading F0503RE 3115164 with casting # 3782870 date code E 1 3. 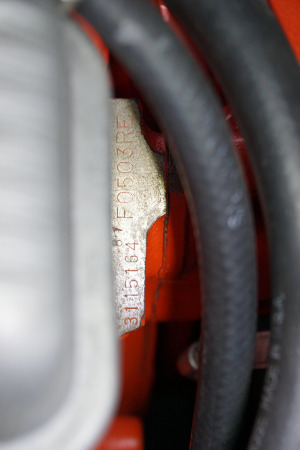 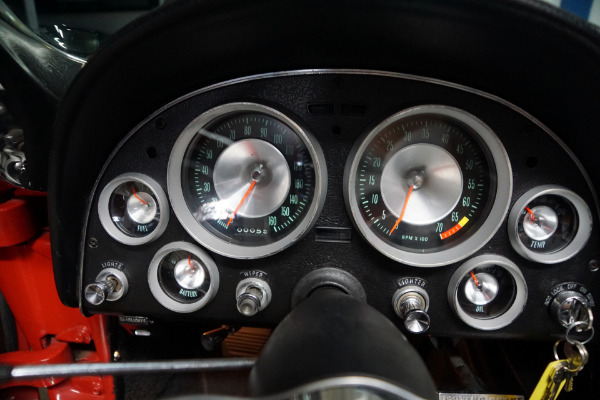 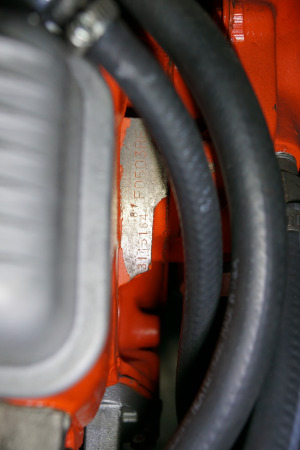 The engine and transmission have very few miles since the very recent rebuild. 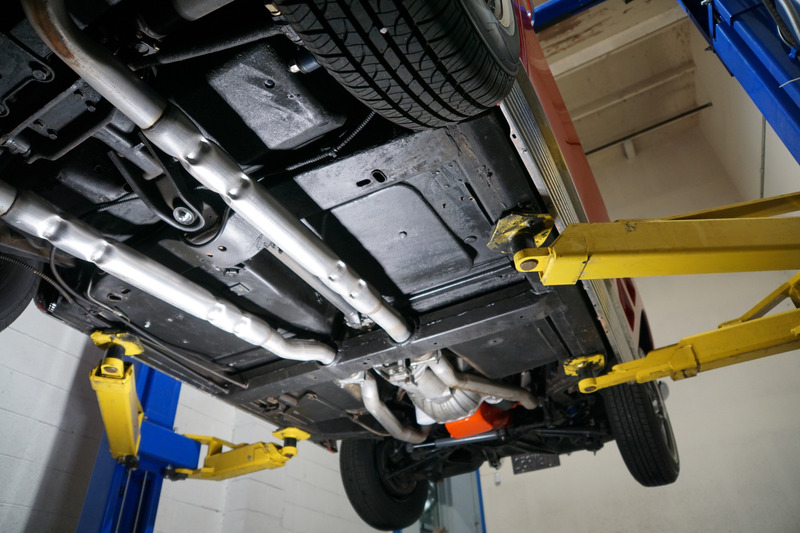 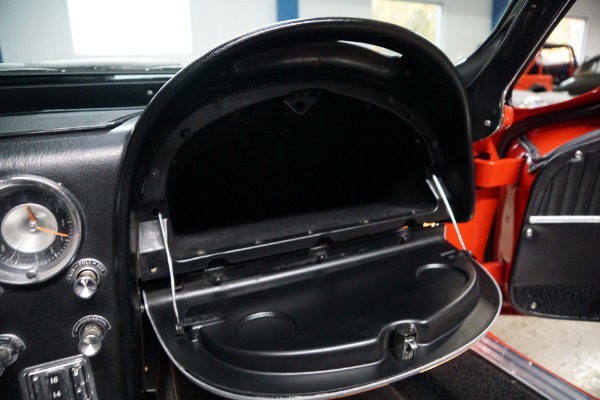 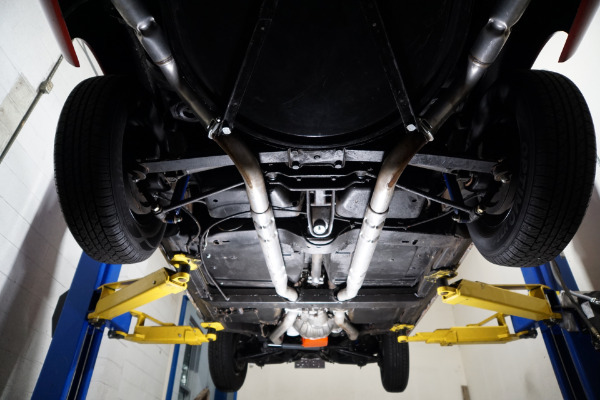 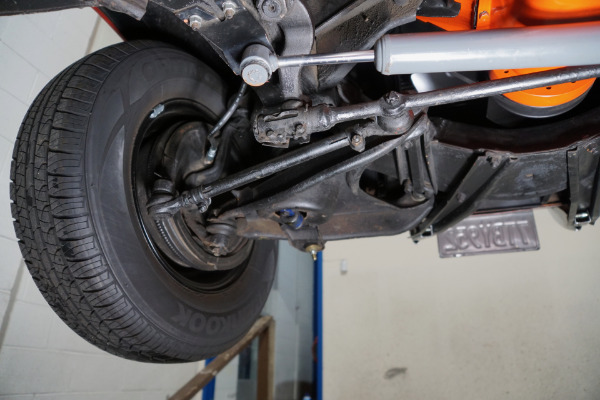 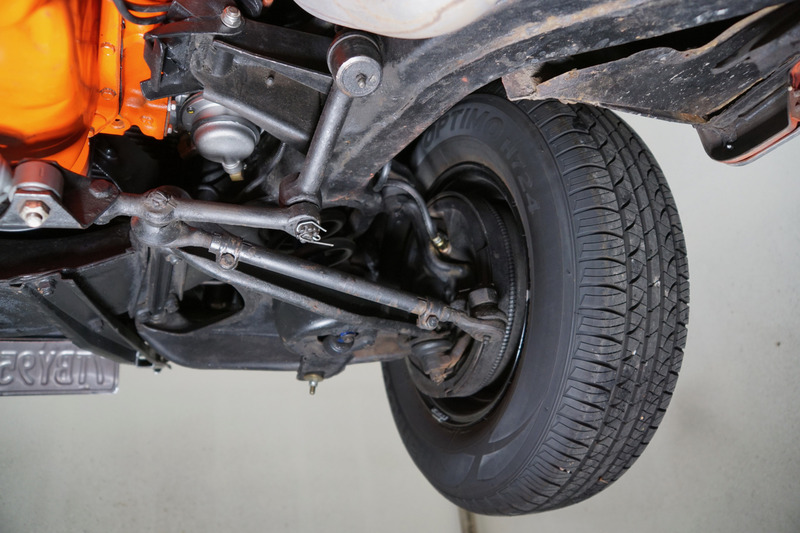 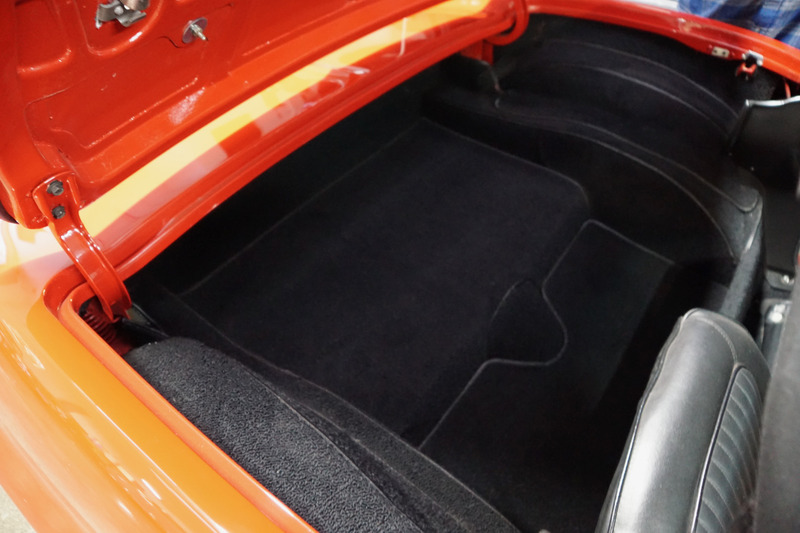 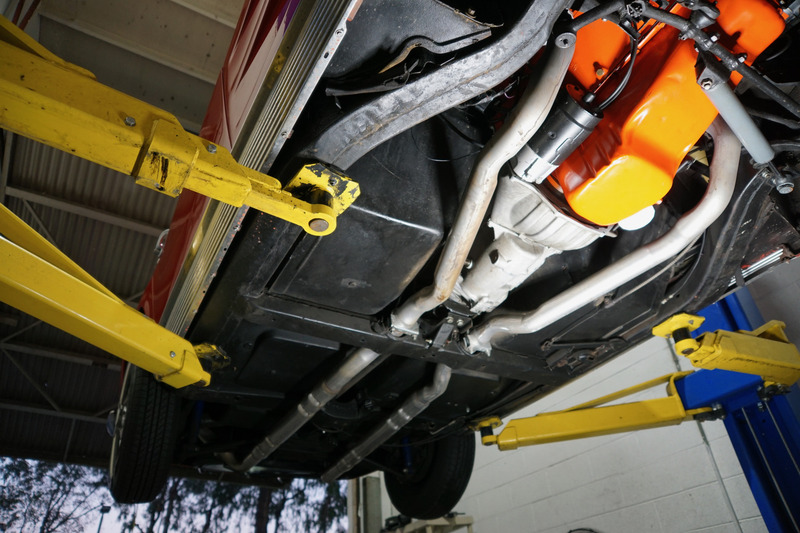 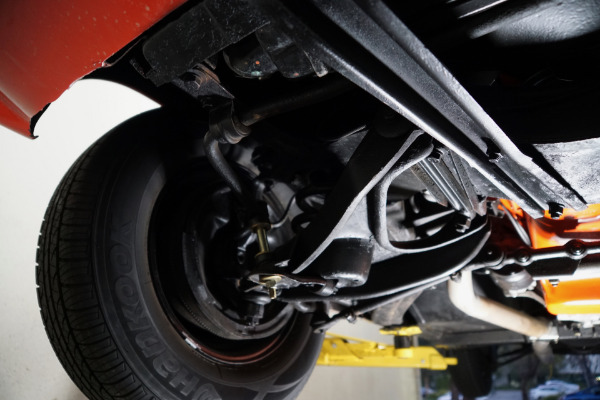 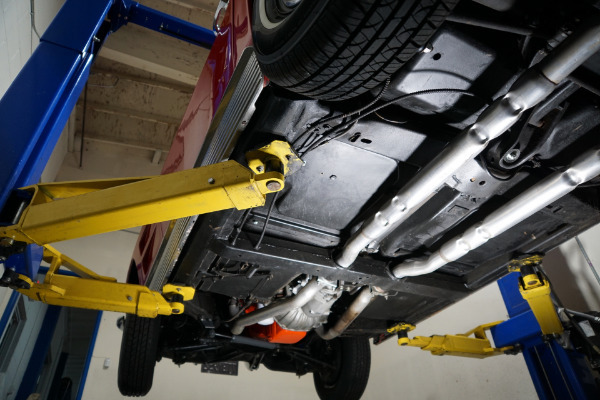 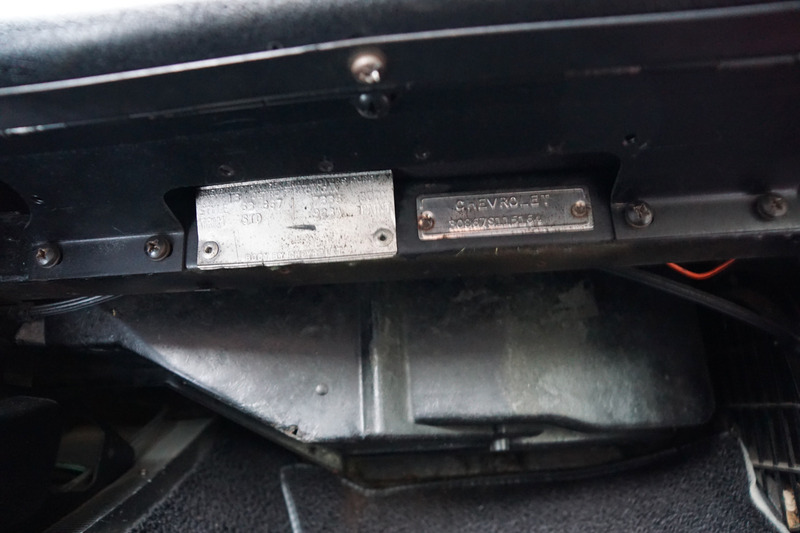 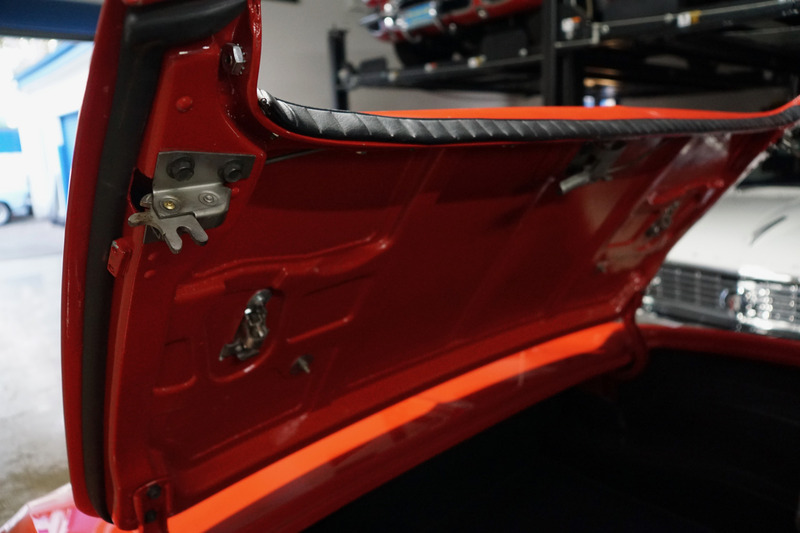 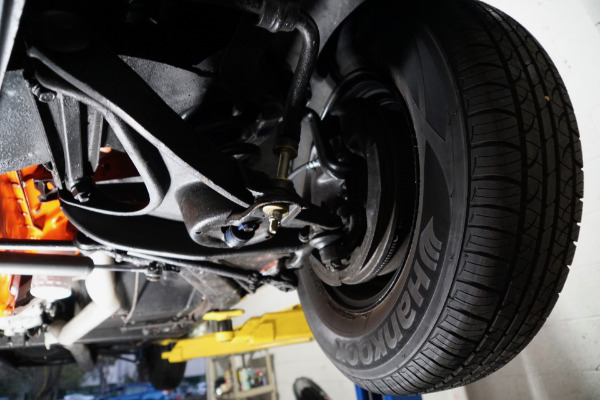 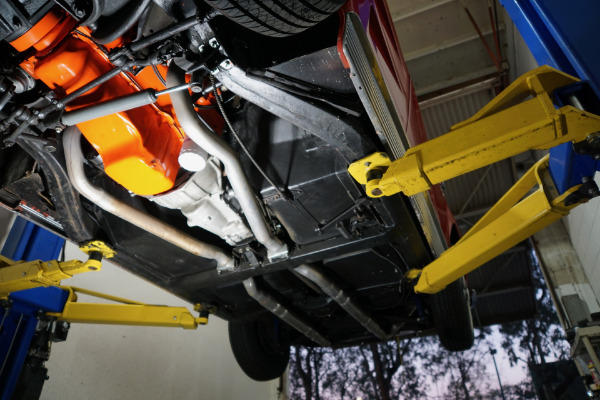 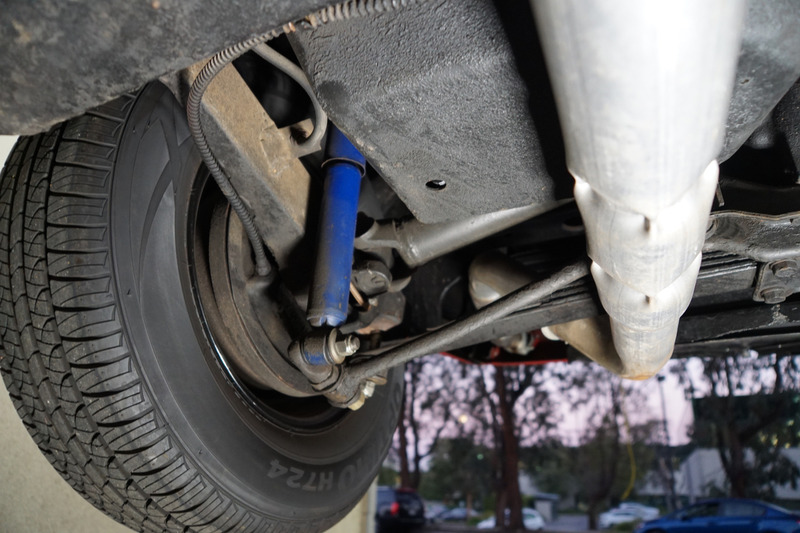 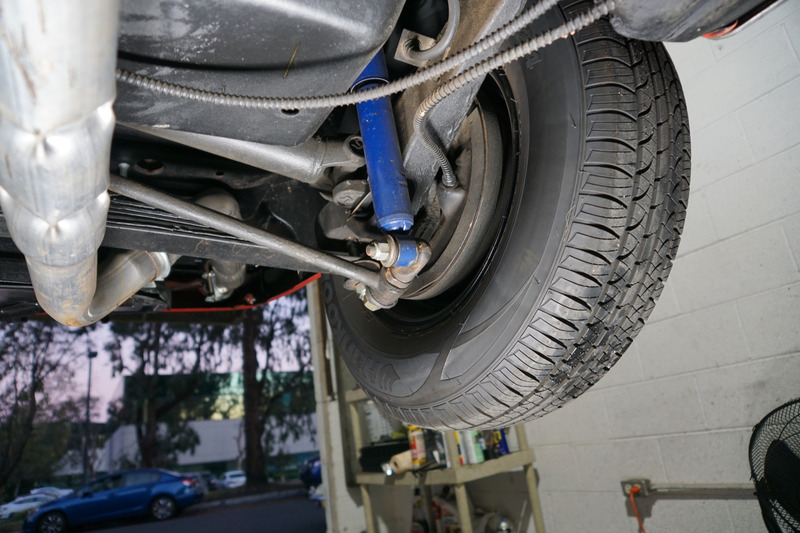 The car boasts newer suspension and has the correct air cleaner and upper ignition shielding and the car has a very straight body with the bonding strips still intact. 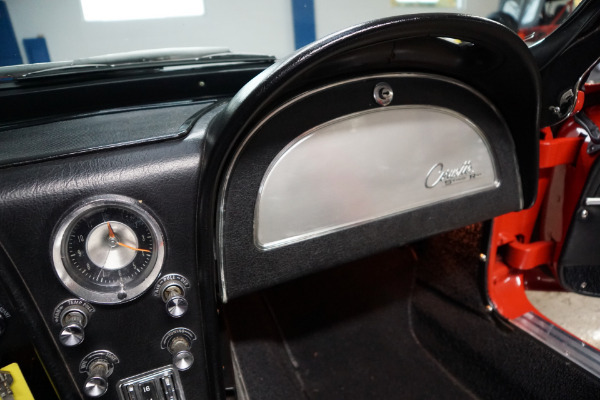 The car has new weather stripping and re-chromed bumpers. 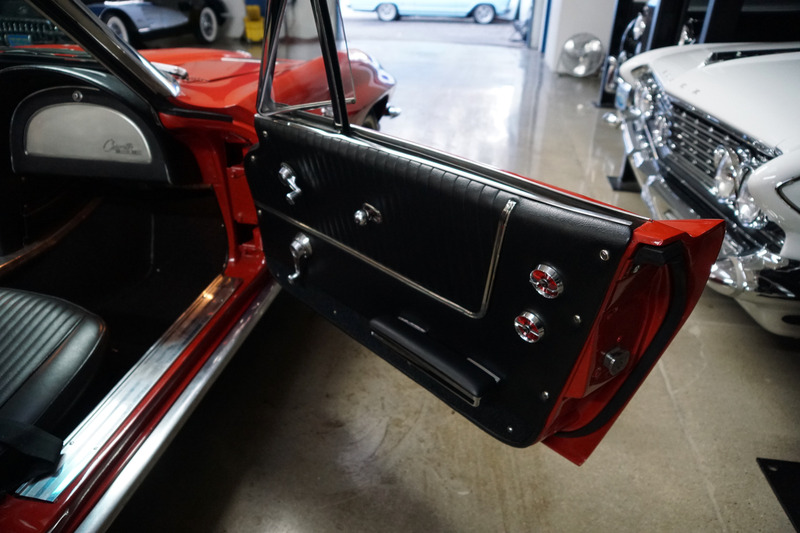 This particular car has no signs of any accidents - obviously an always garaged and cherished car since new which looks extremely impressive in it's repainted in base/clearcoat original 'Riverside Red' color with a beautiful restored Black interior with leather seat covers and newer door panels and carpet. The rebuilt 340HP V8 engine with only some very nominal miles since the rebuild is obviously extremely strong and powerful and this particular car drives absolutely magnificently - must be driven and seen to be truly appreciated - drives straight as an arrow with no strange road wobbles, shakes or rattles - a truly remarkable daily driver that will give any modern day sports car a run for it's money! 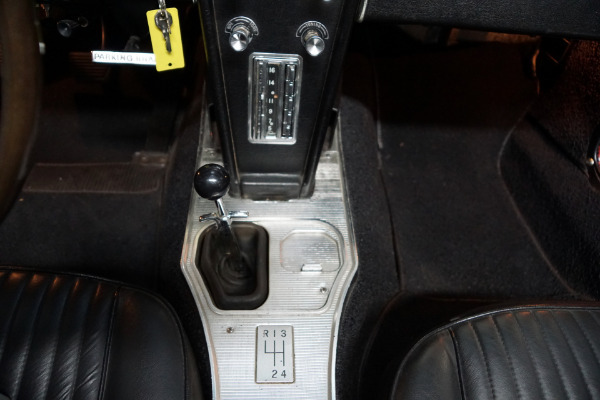 The 4 speed manual transmission shifts smoothly through all the gears and the temperature always remains cool! The second generation, C2 Corvette, aka know as the Corvette Sting Ray was produced between 1963-7. 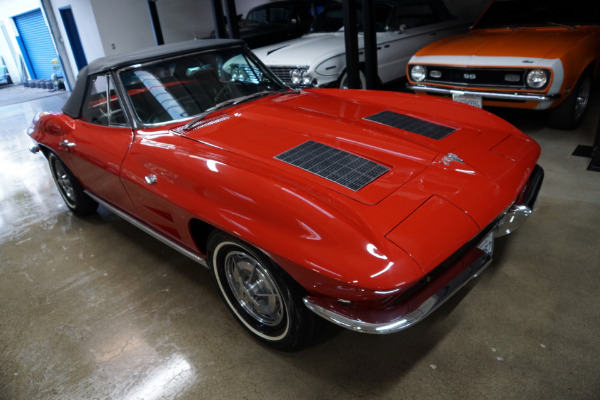 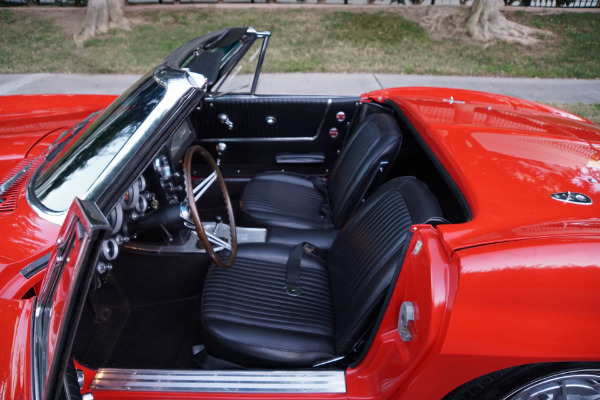 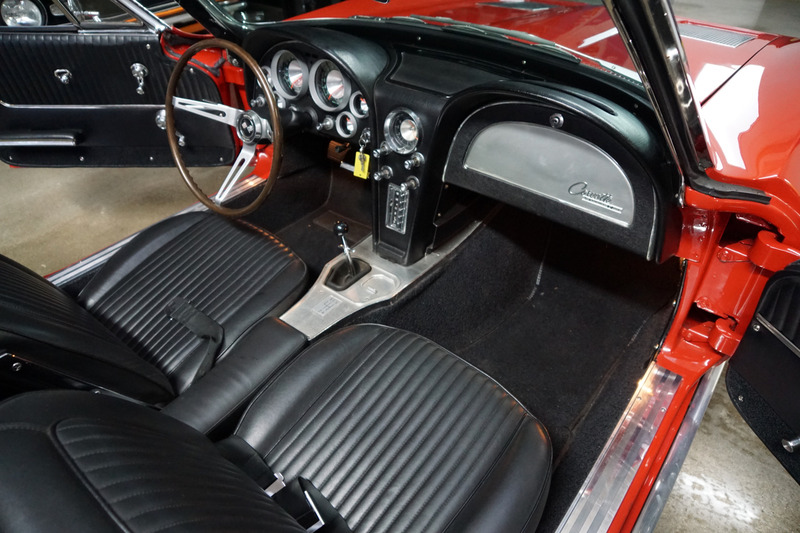 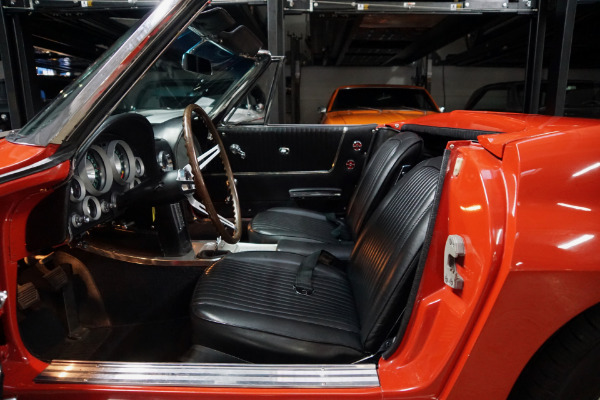 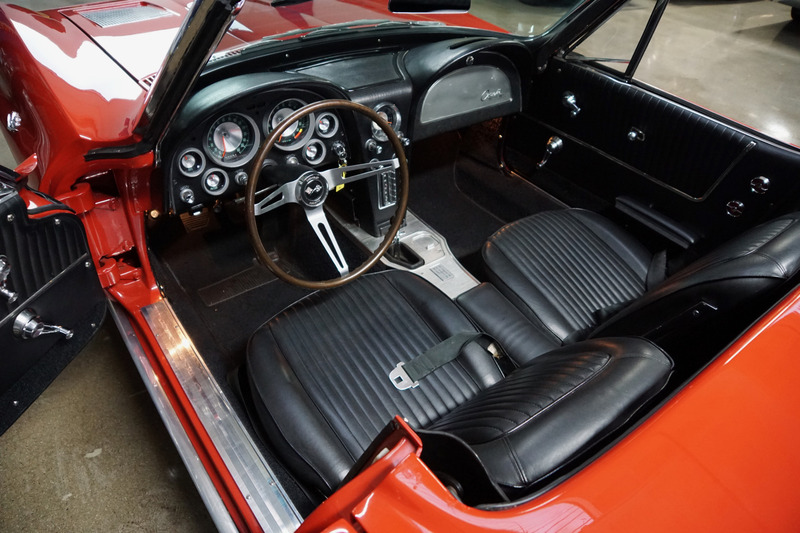 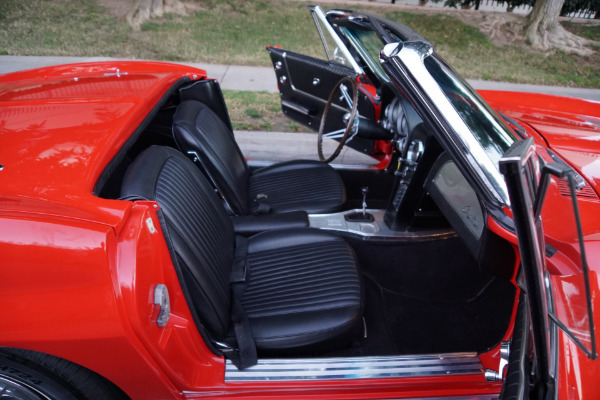 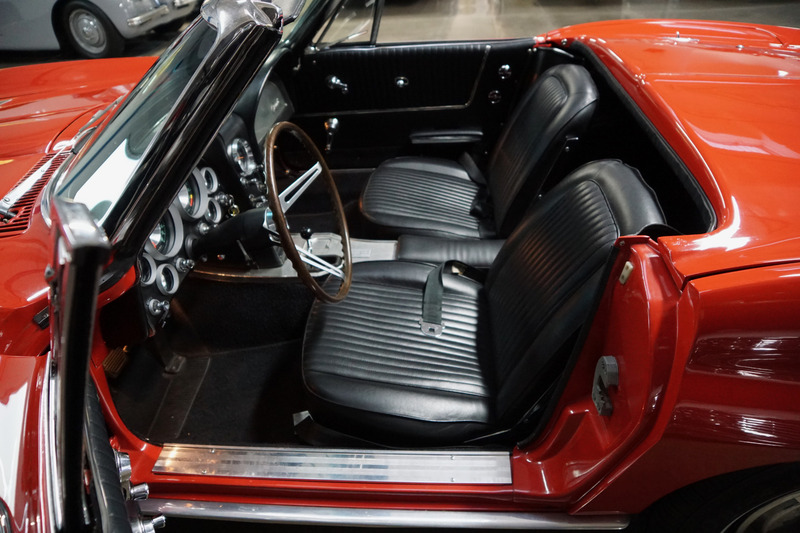 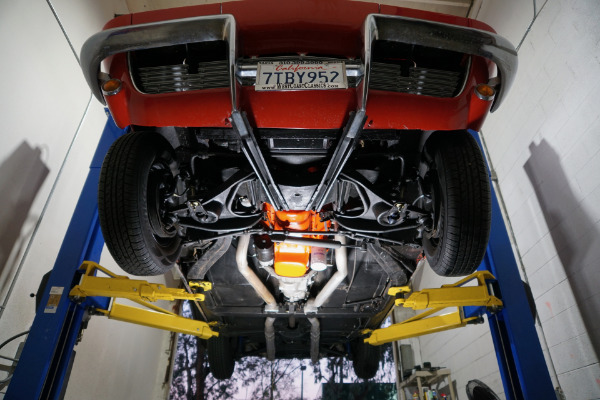 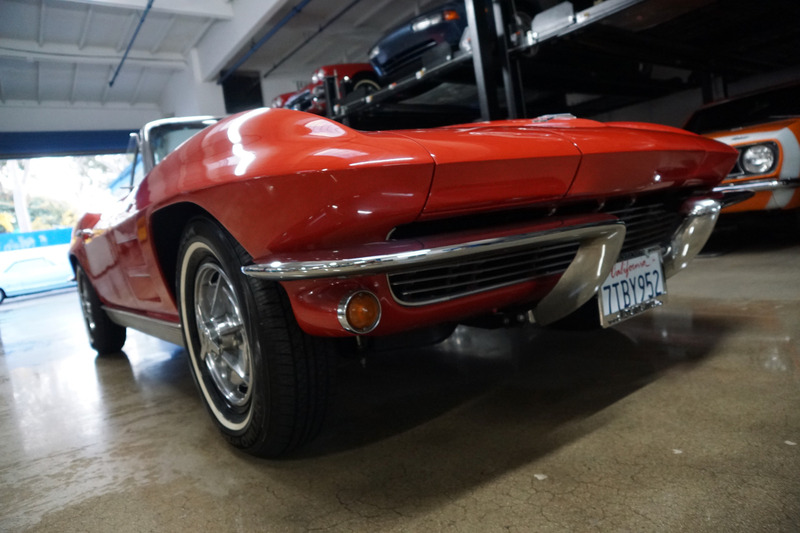 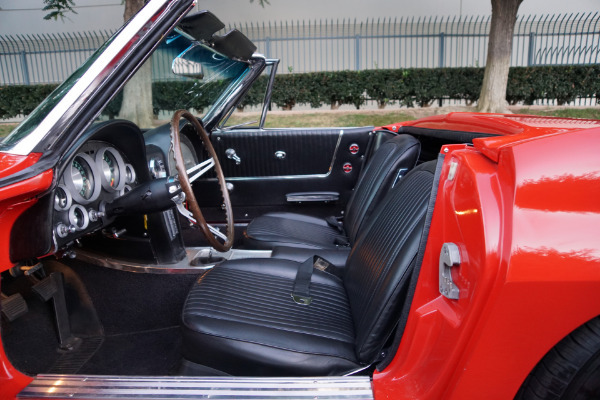 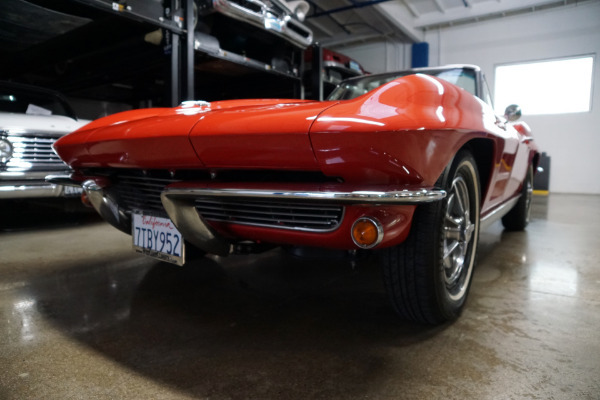 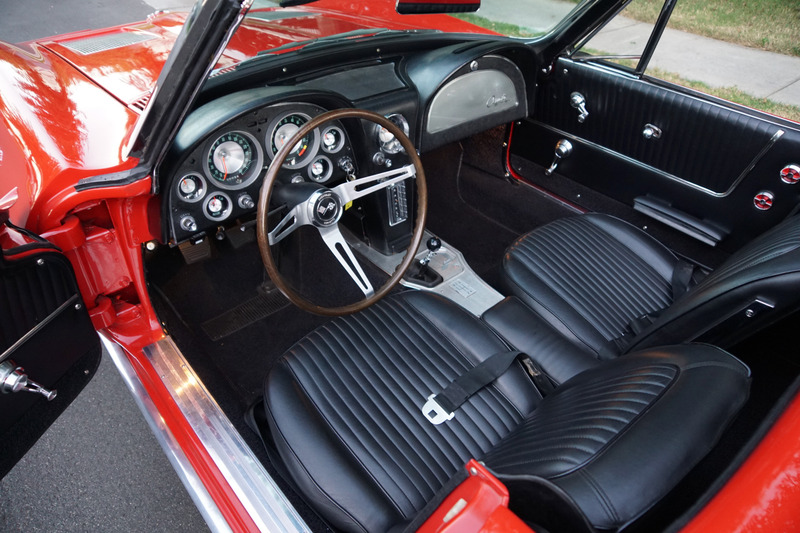 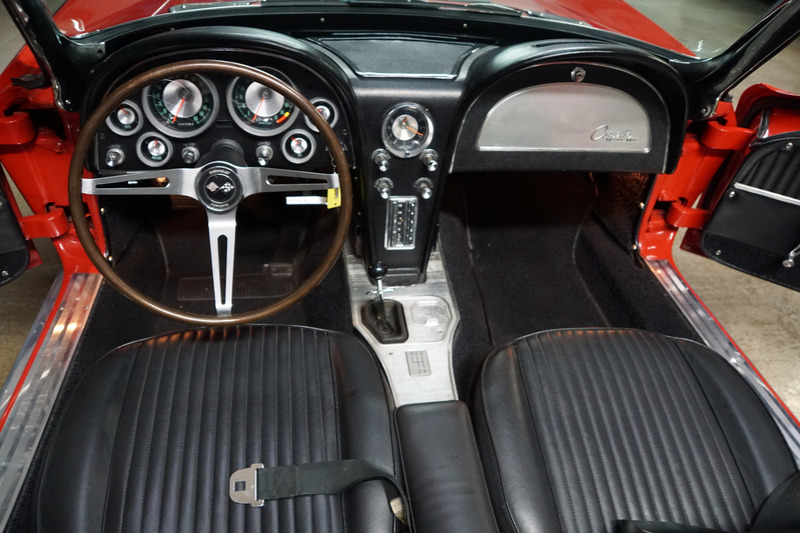 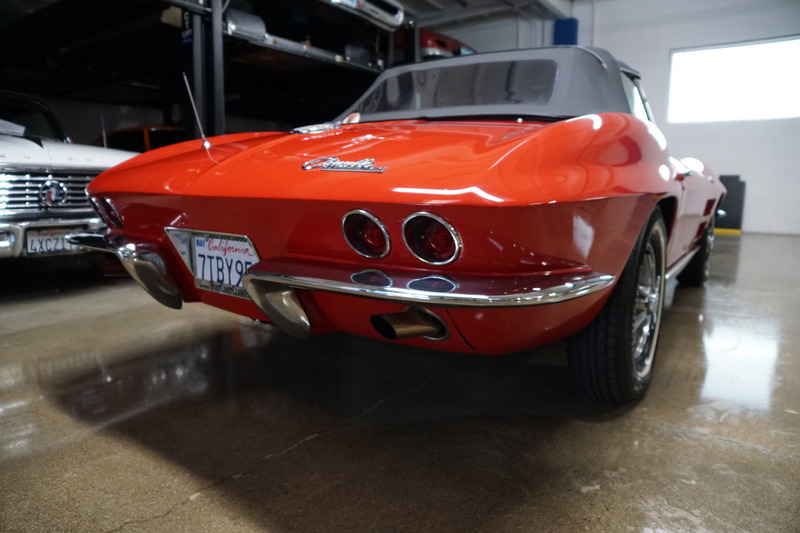 Like all previous Corvettes, the Sting Ray had a body made from a number of fiberglass panels mounted on a traditional separate frame but the body and chassis were completely redesigned and for the first time a coupe body was available. 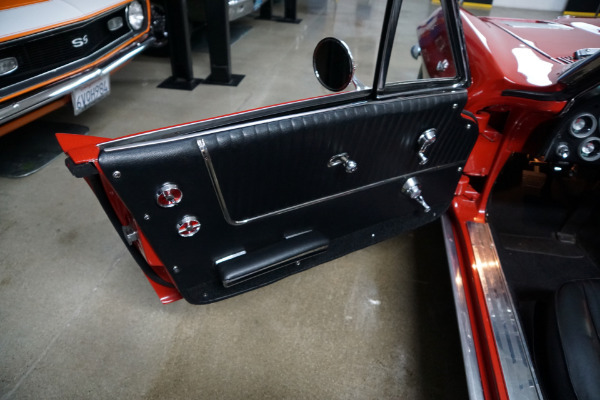 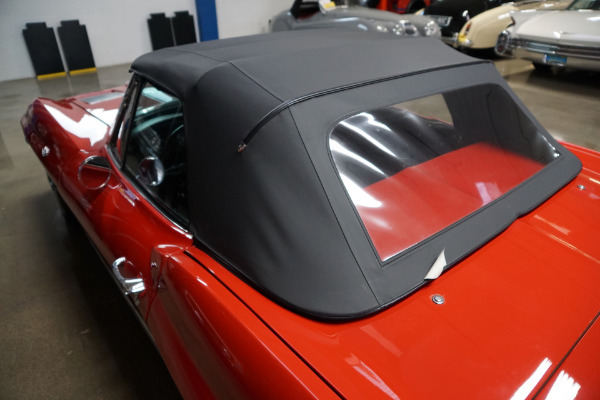 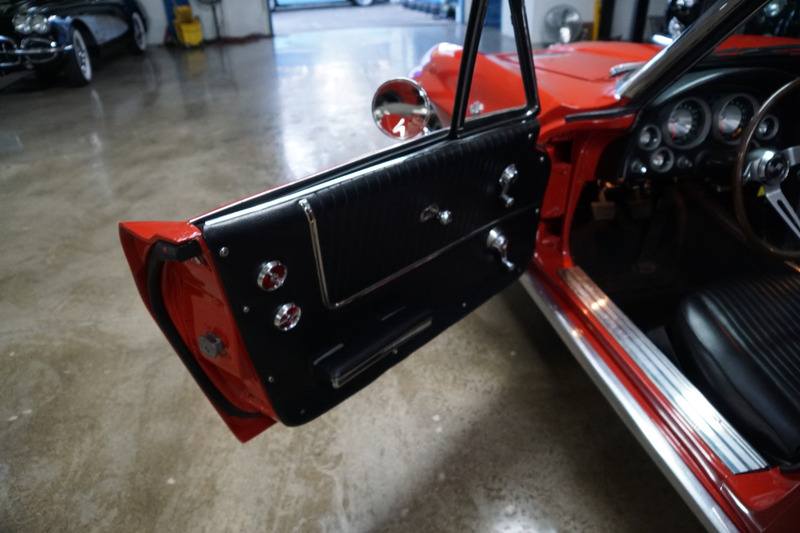 A center wind split on the coupe roof flowed through the rear glass window creating the now legendary and highly collectible 1963 one year only 'Split-Window' coupe! Knock off aluminum wheels were introduced as a 1963 option. 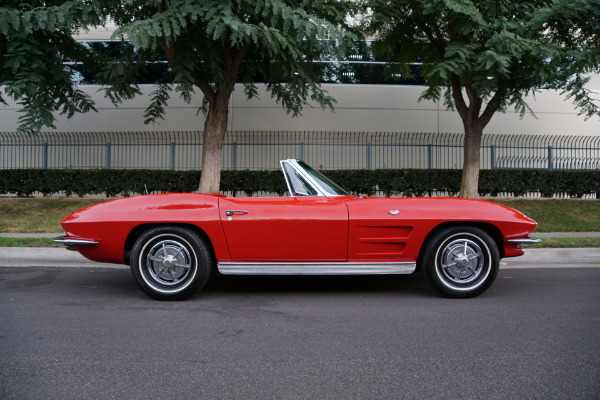 Delivery of a 1963 with knock-off wheels to a retail customer have not been confirmed but wheels were sold over the counter. Two bar (Very early) and three bar spinner styles were available. Finish between the fins was natural. A genuine touring car in every sense of the word with a vast range of drivetrain options. 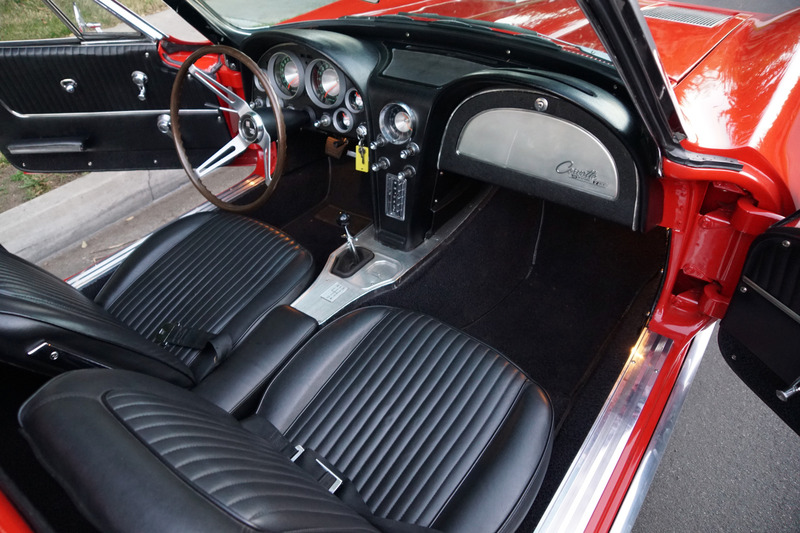 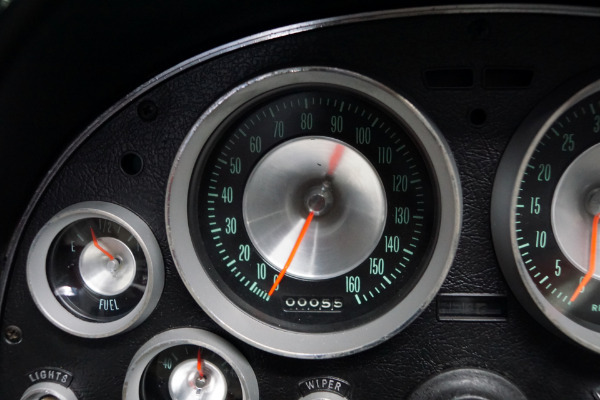 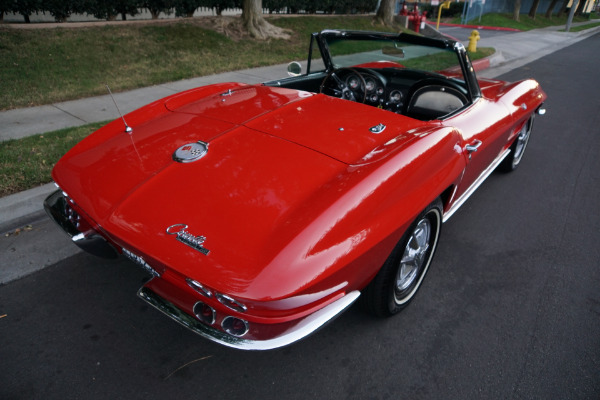 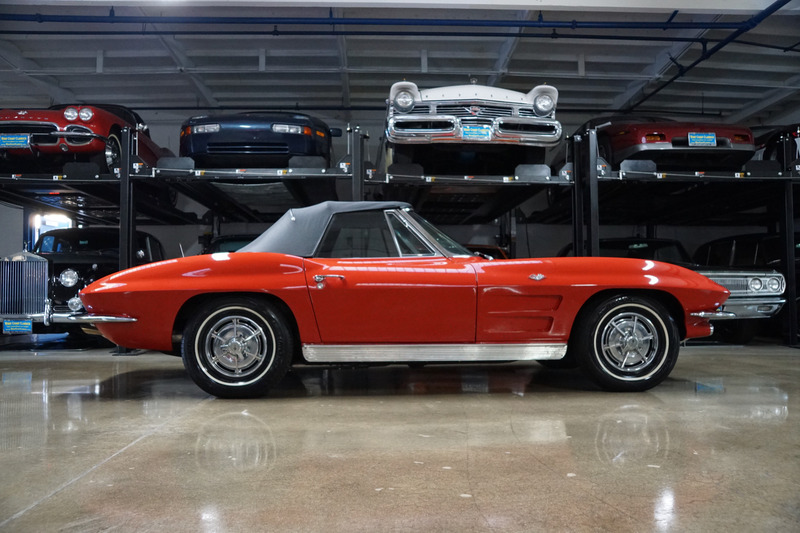 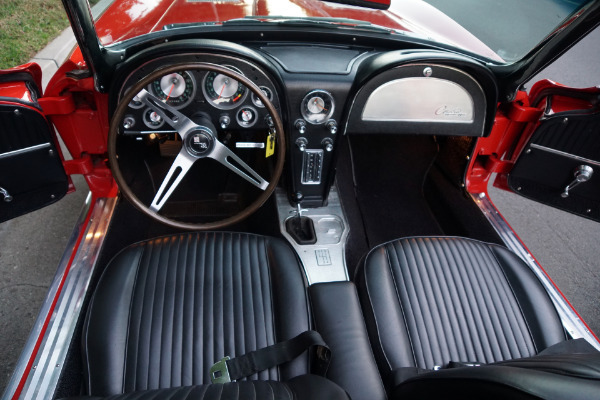 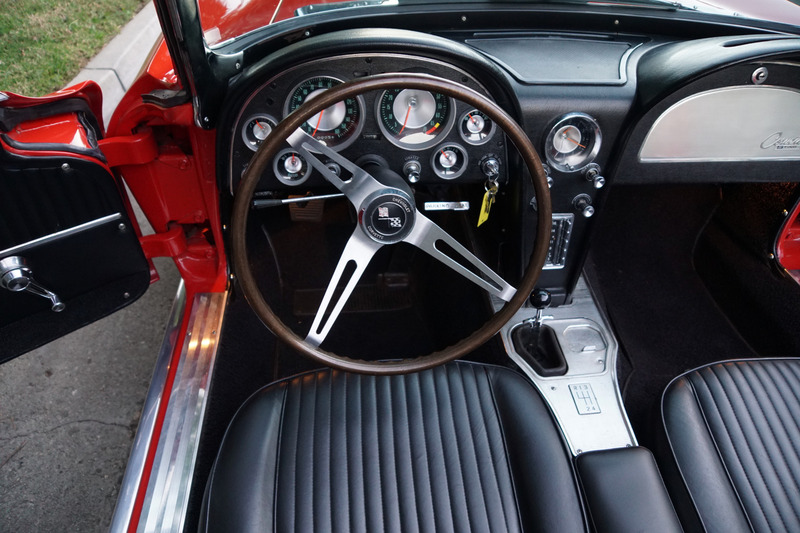 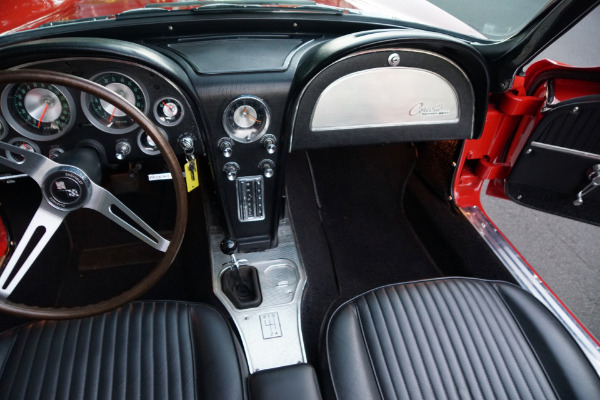 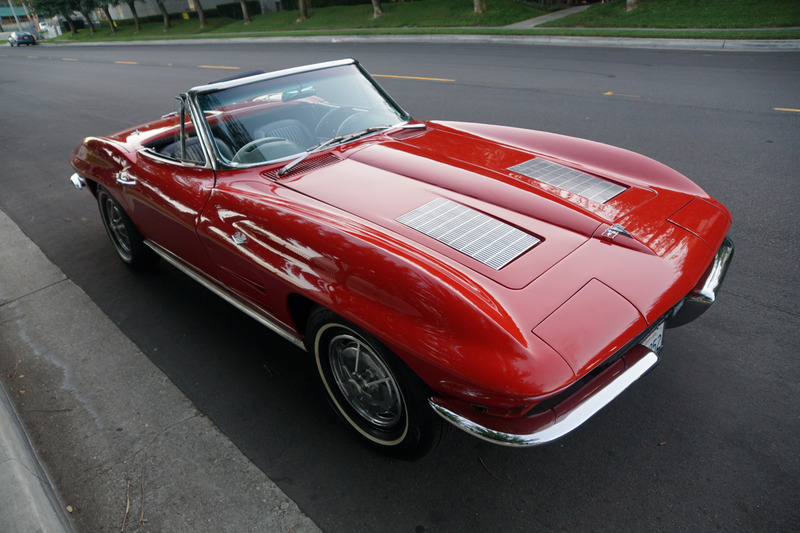 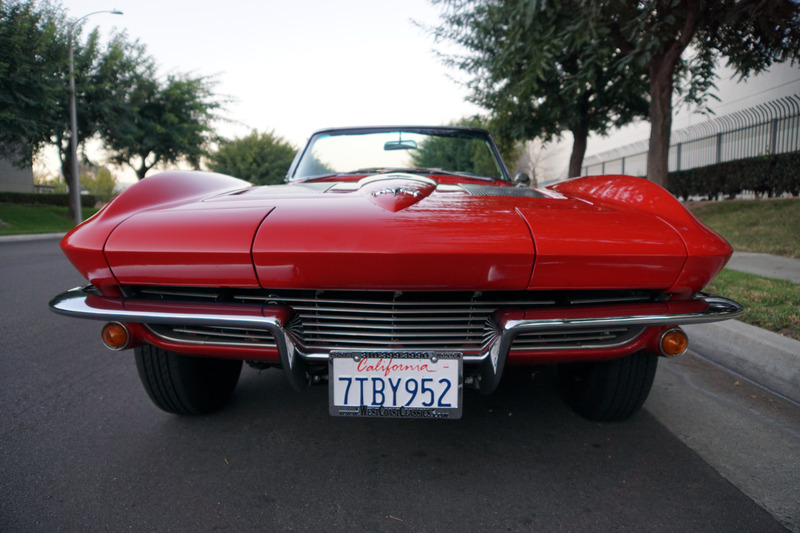 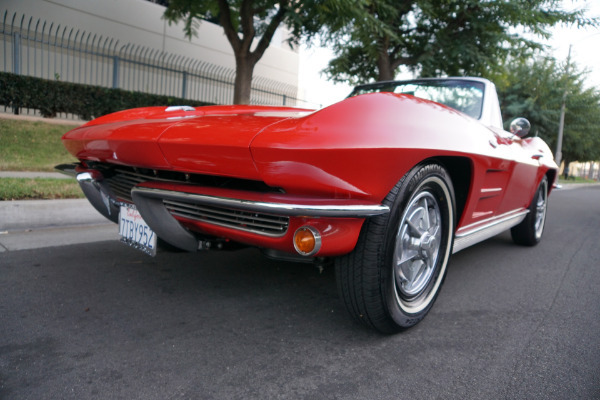 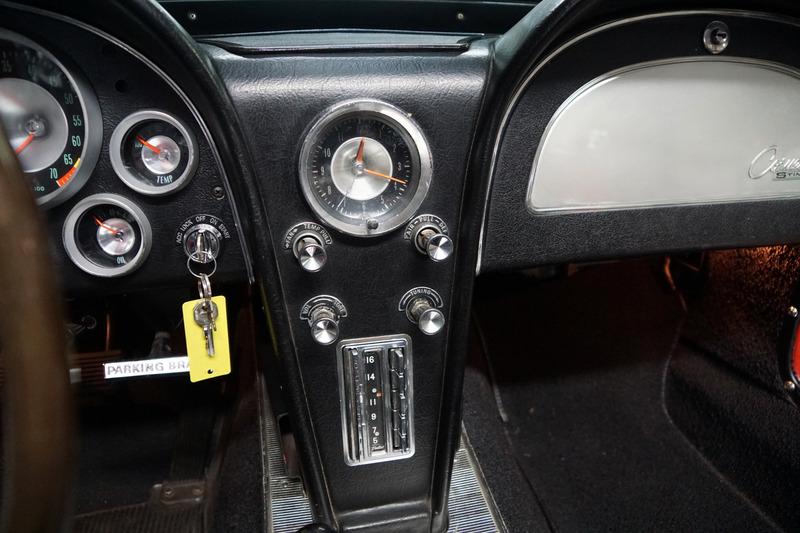 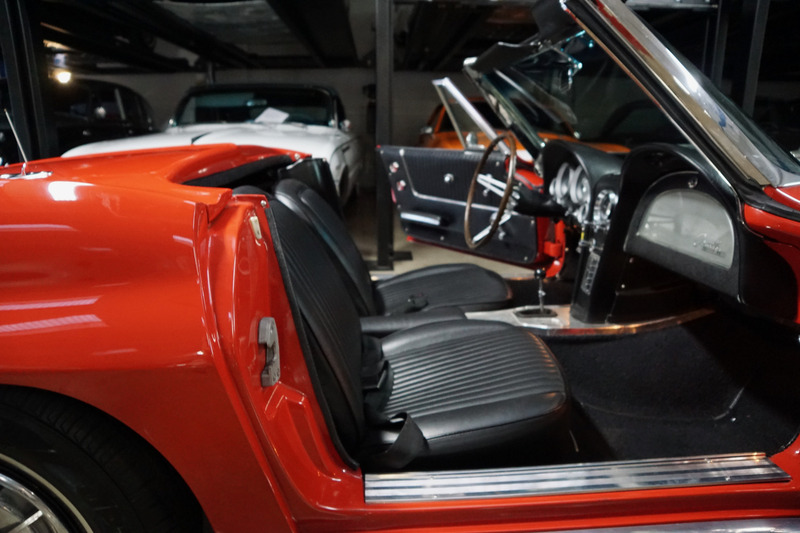 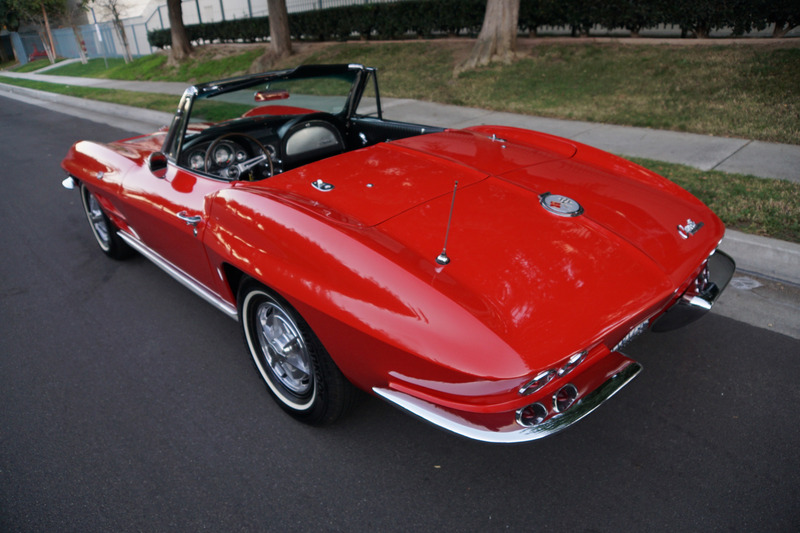 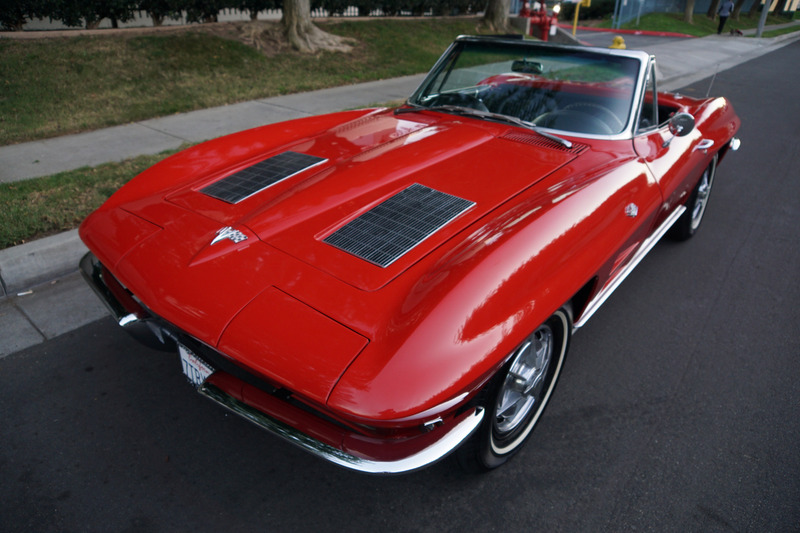 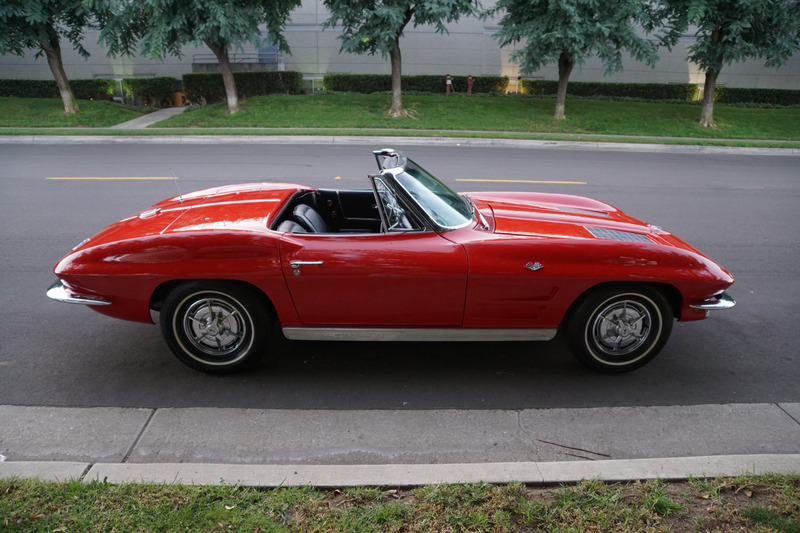 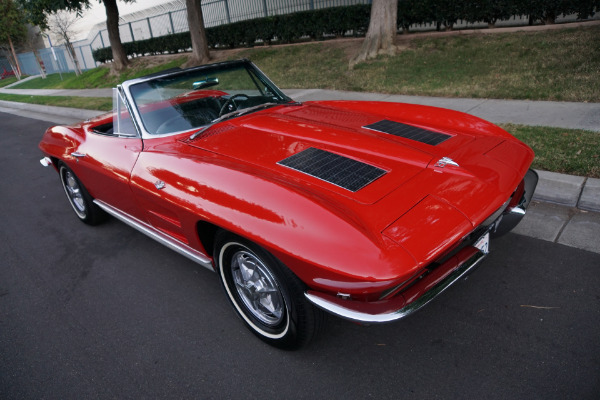 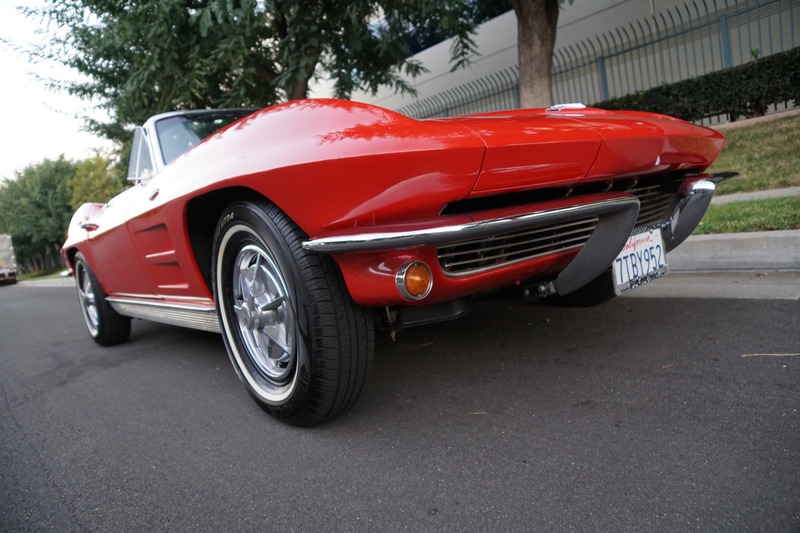 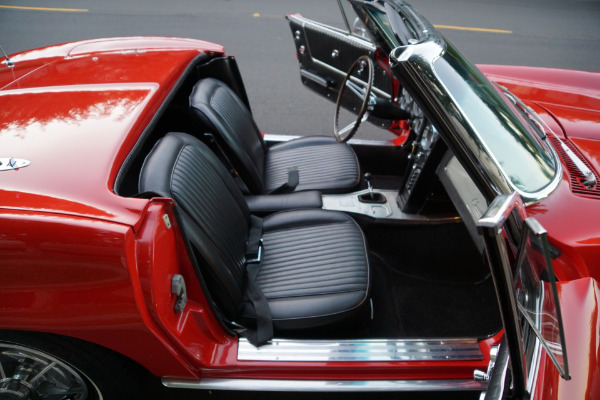 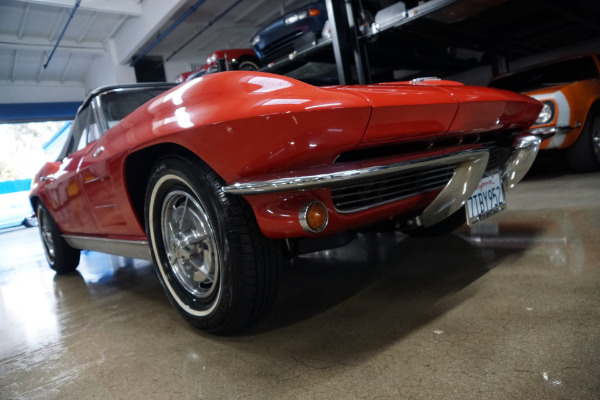 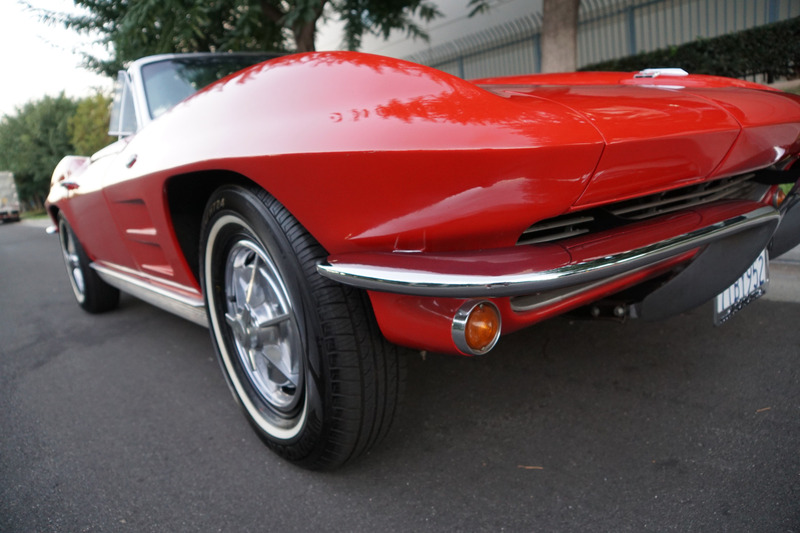 Widely considered one of the best styling efforts of the sixties and the shortest lived Corvette design. One of the most sought after Corvettes and a must have for any serious collection. 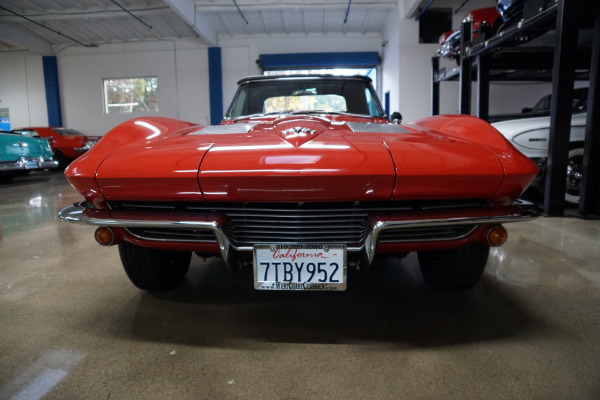 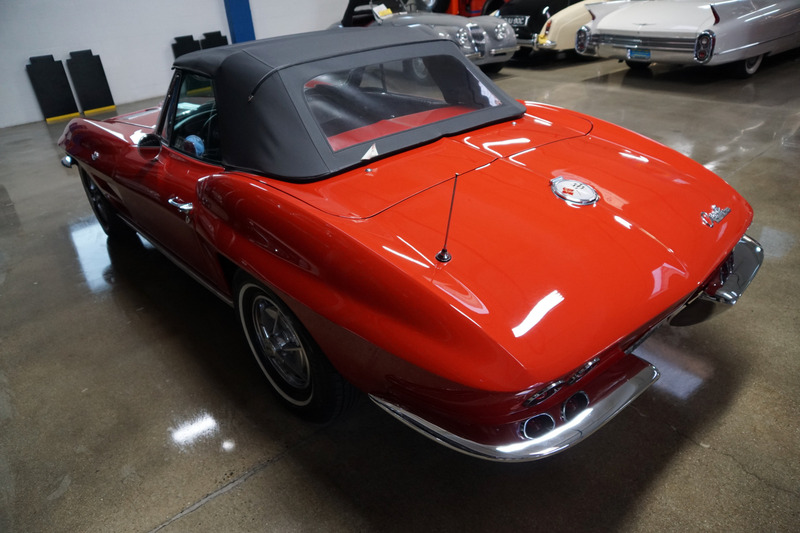 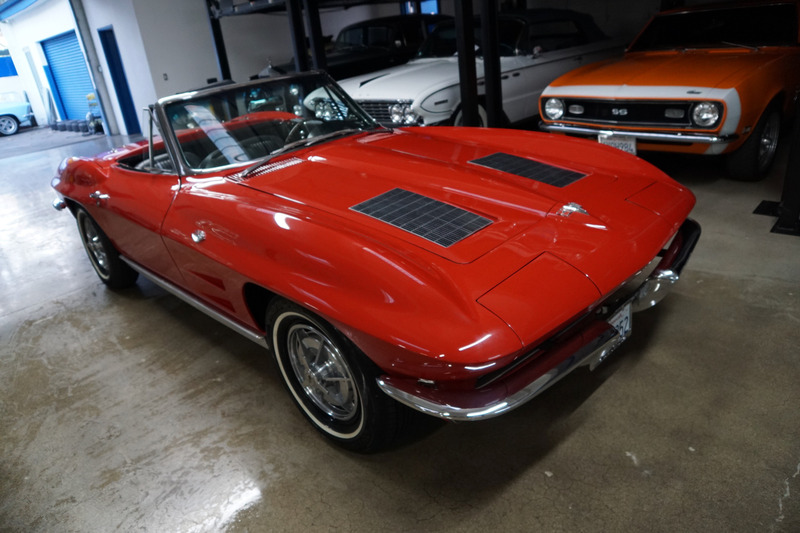 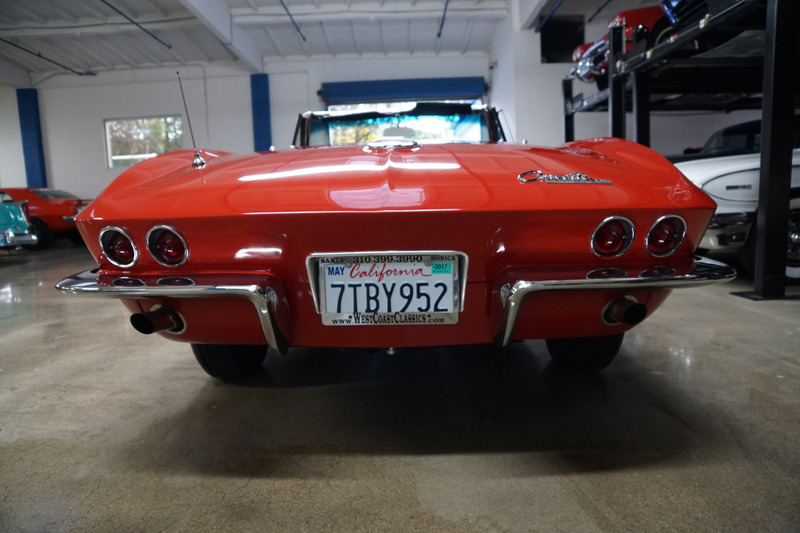 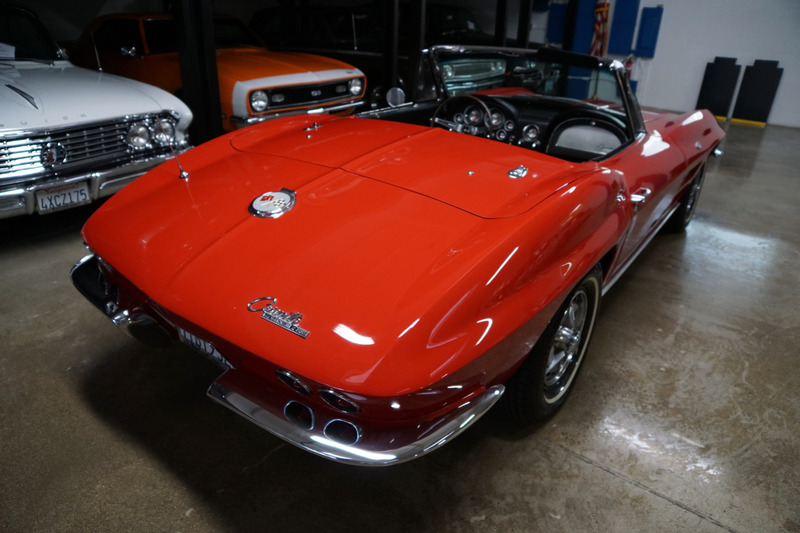 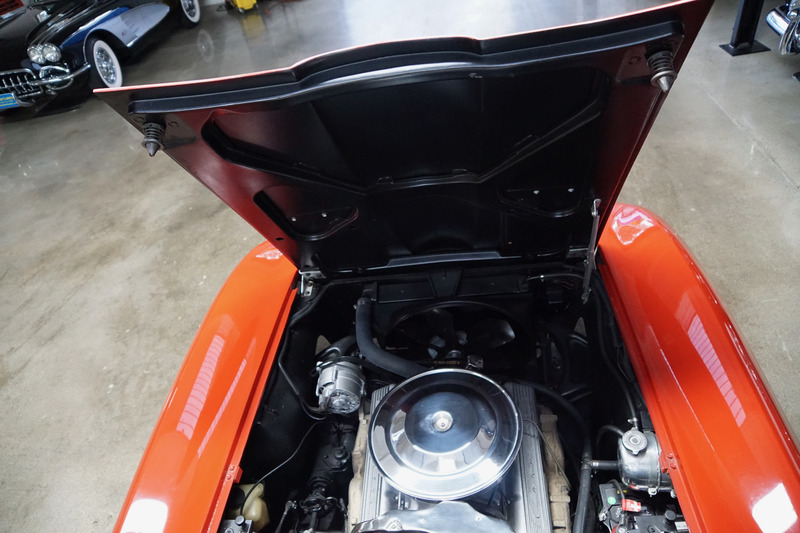 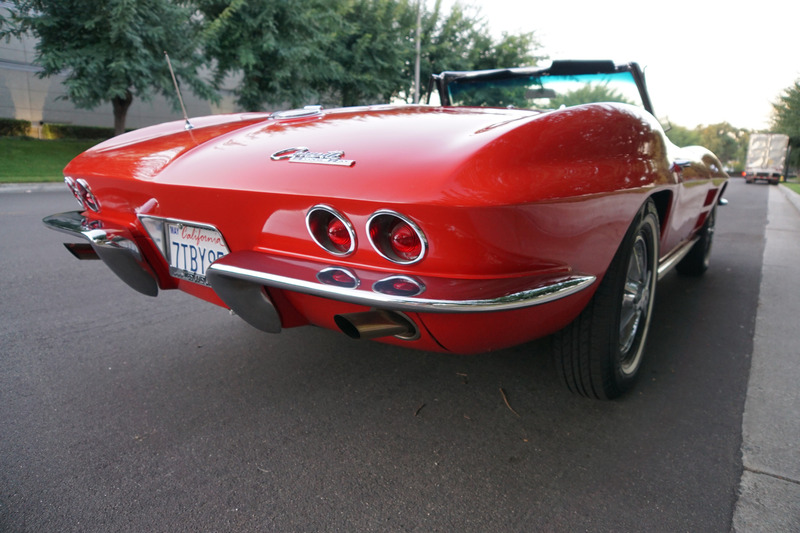 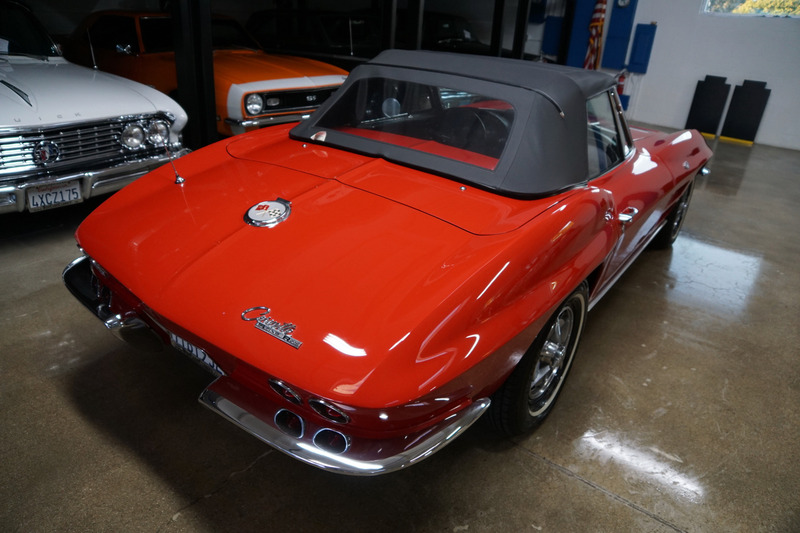 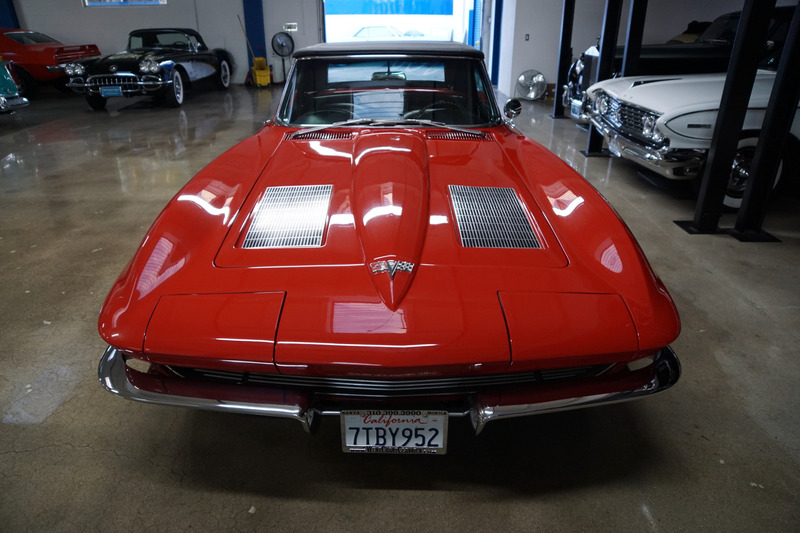 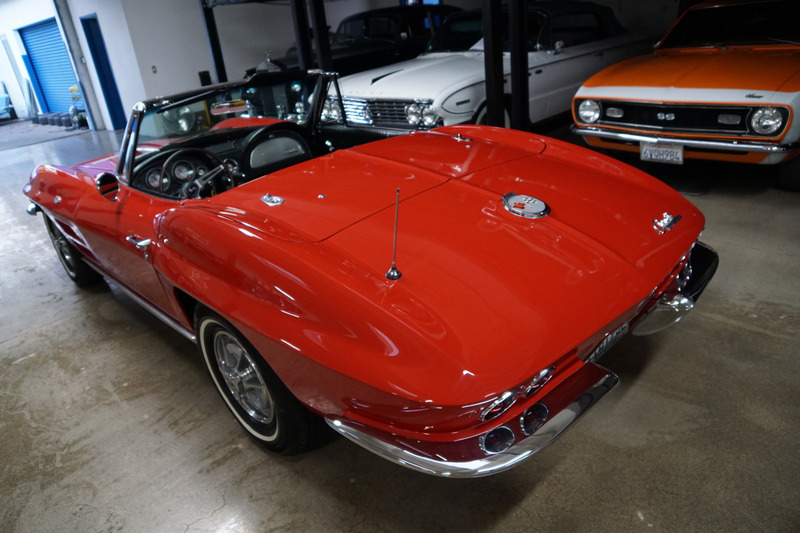 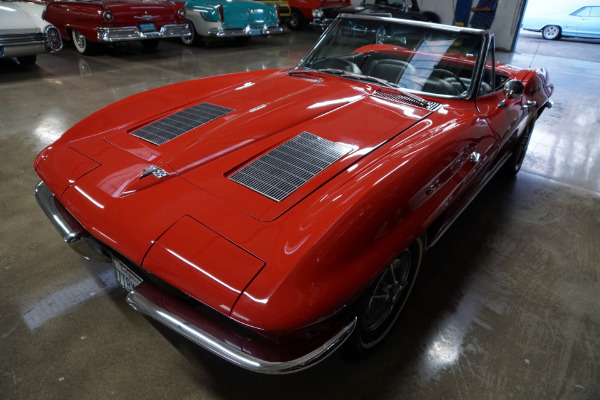 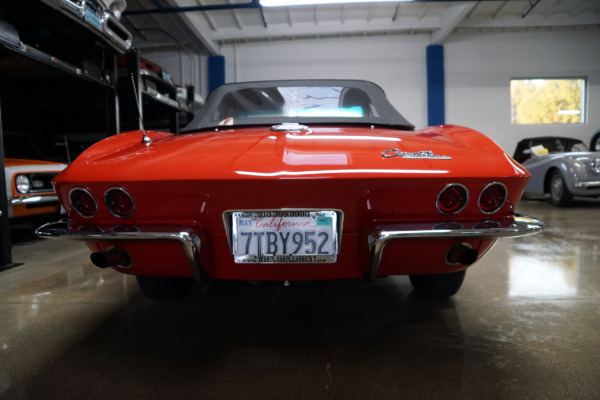 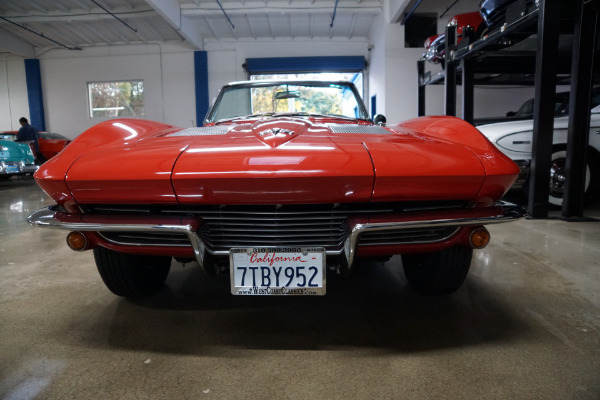 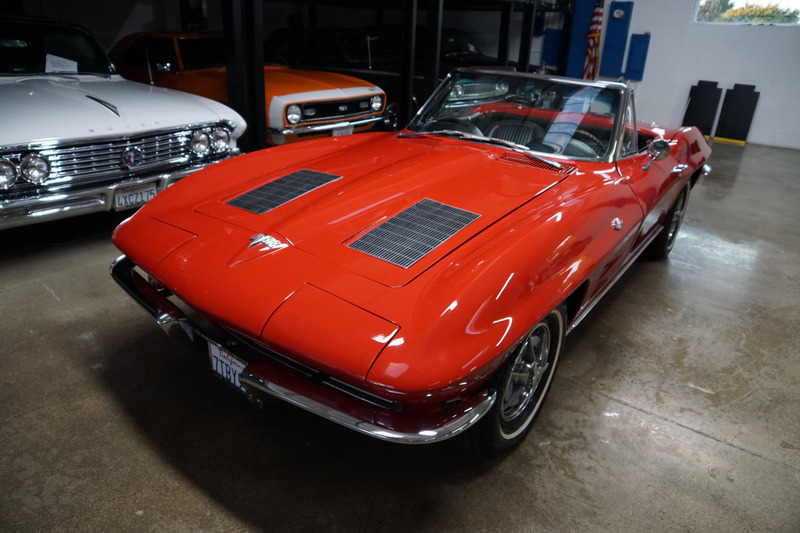 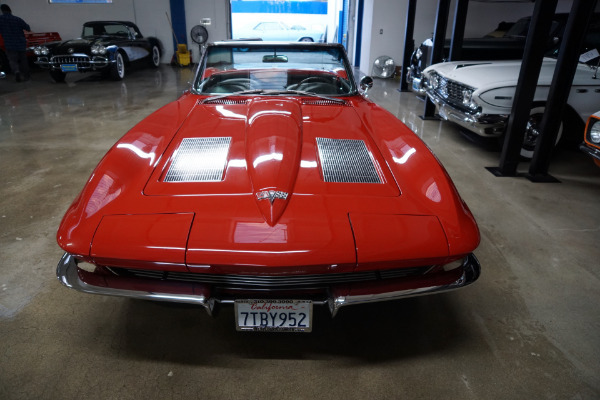 This is a rare opportunity to own a great example of an recently restored and rebuilt 1963 Chevrolet Corvette Sting Ray Roadster in it's original factory colors with a 4 spd manual transmission and Positraction rear end! 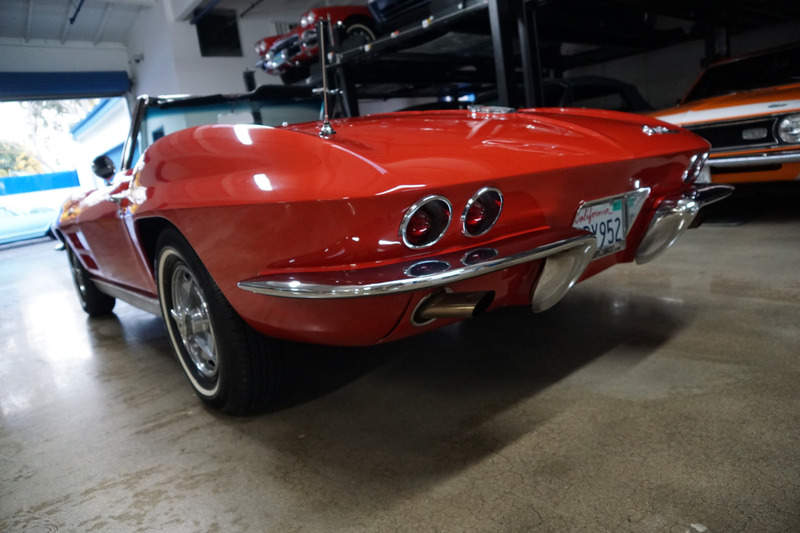 This is one highly desirable and collectible unabused example of one of the best styling efforts of any decade, a genuine grand touring car in every sense of the word and one of America's best loved classic cars ever, this shortest lived Corvette design (1963-67) is probably the most sought after apart from the 1953-1958 models! 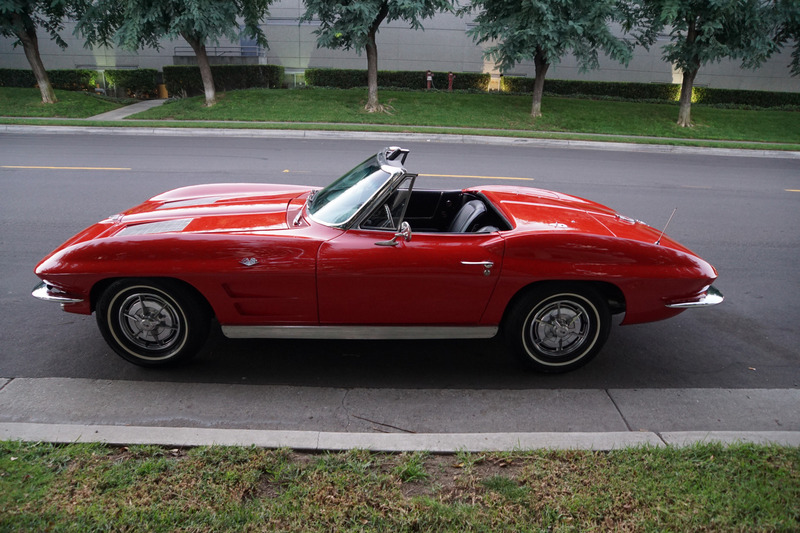 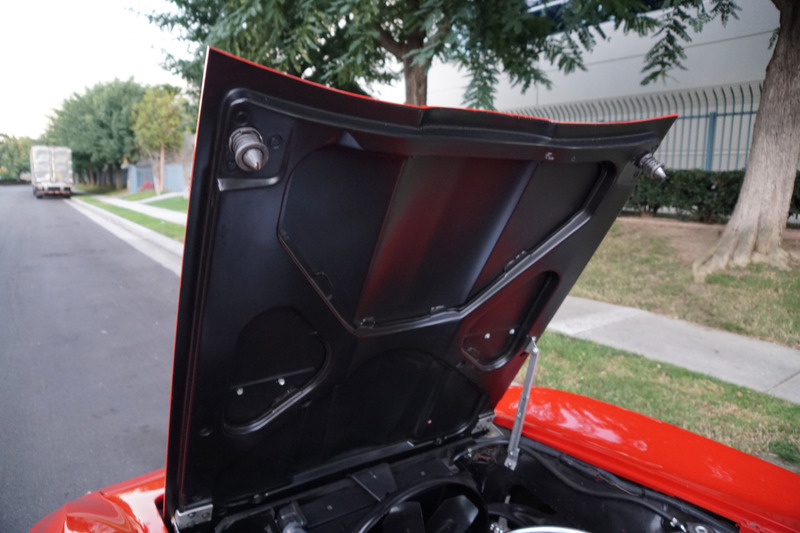 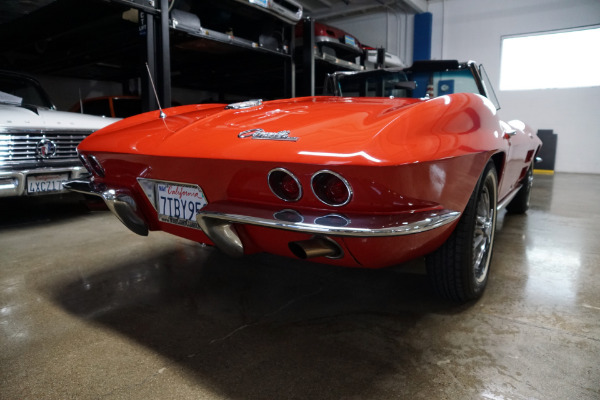 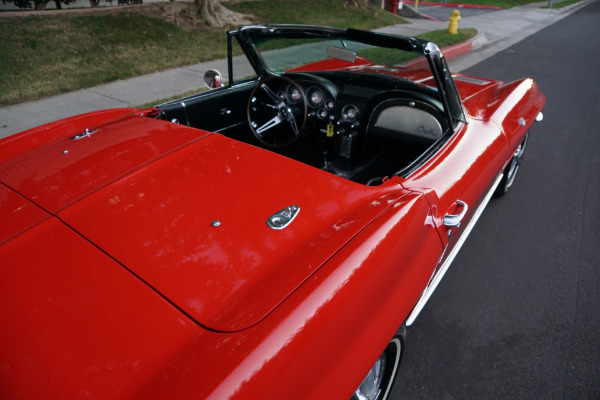 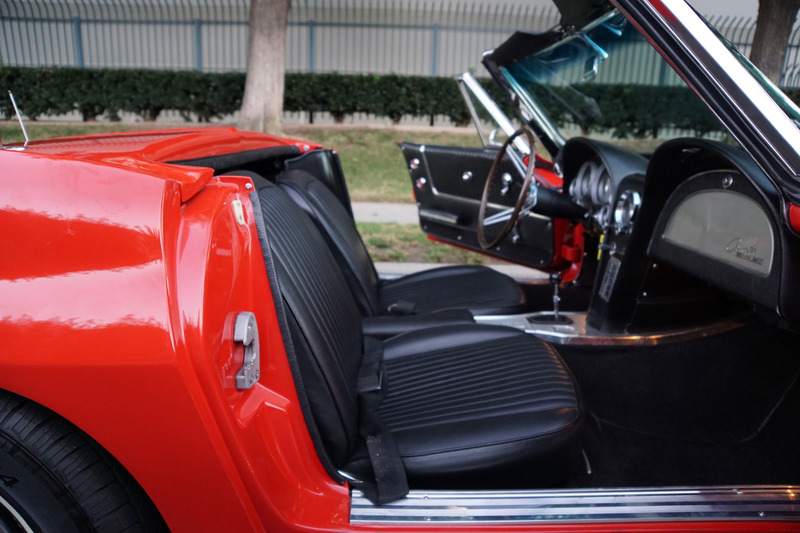 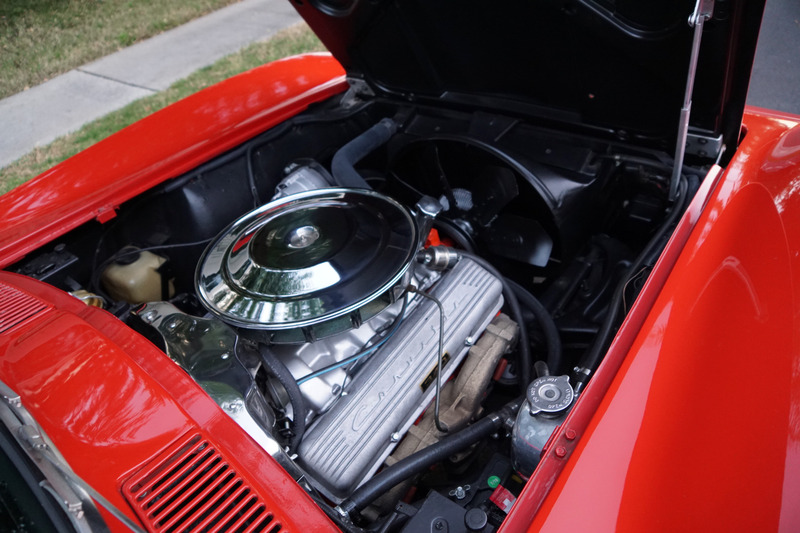 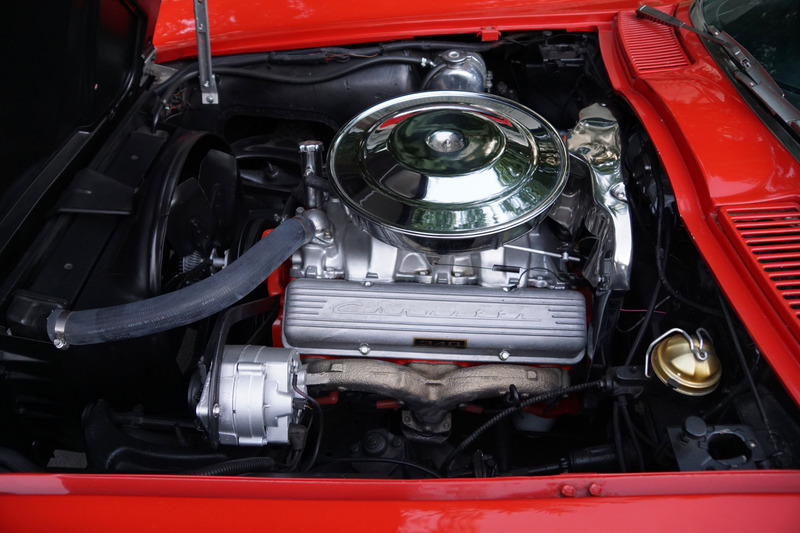 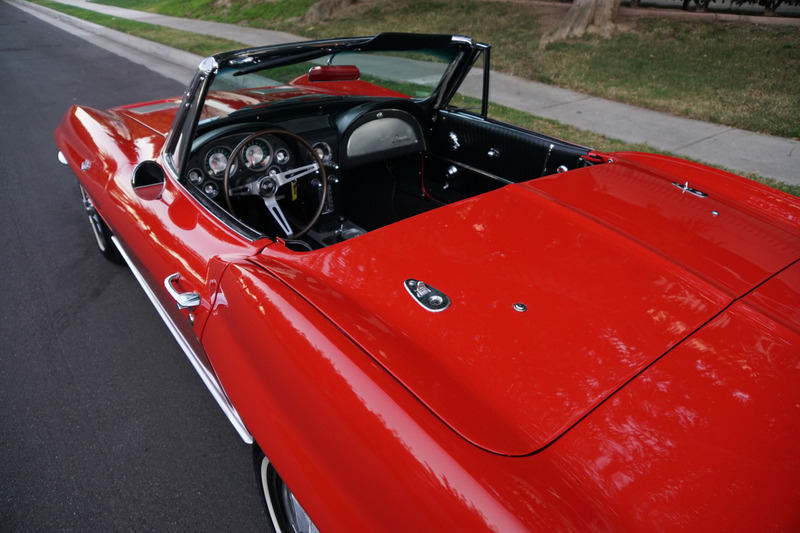 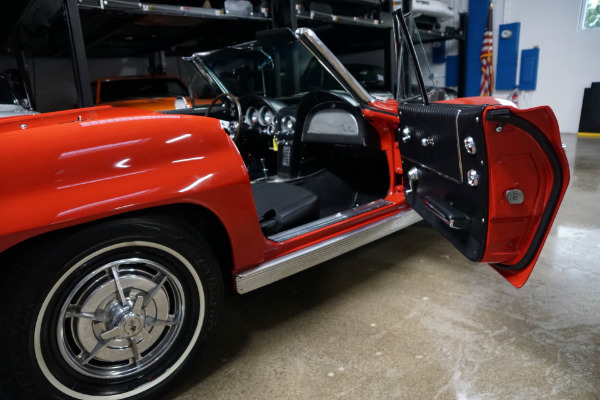 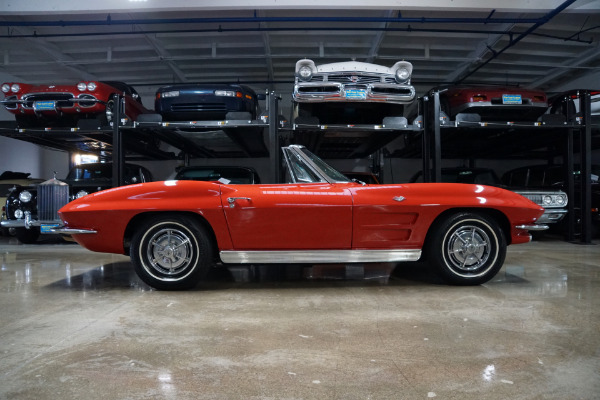 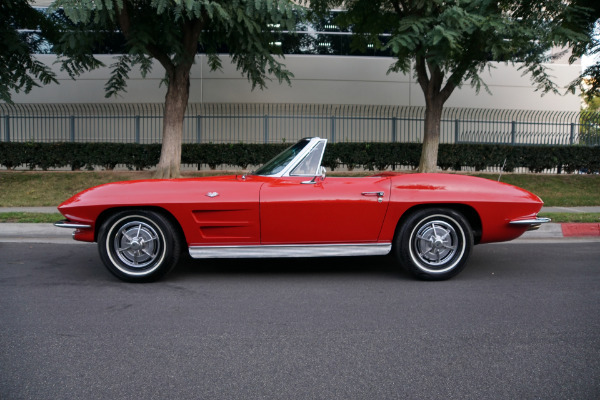 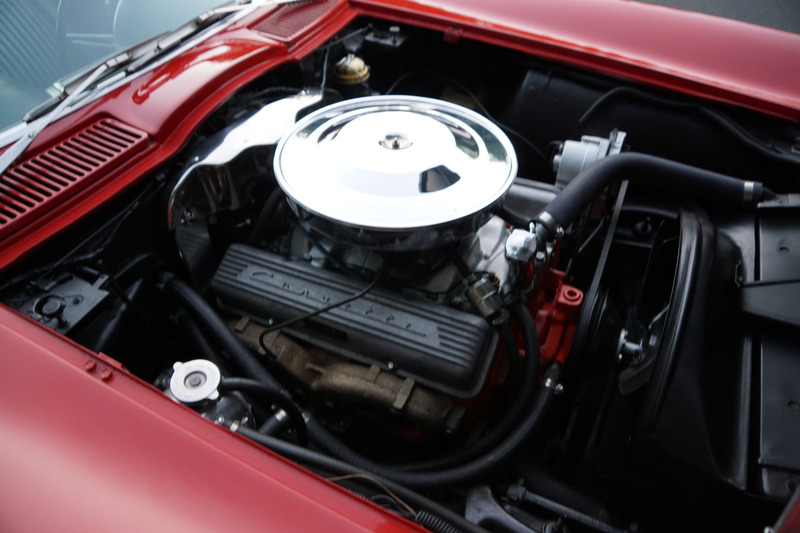 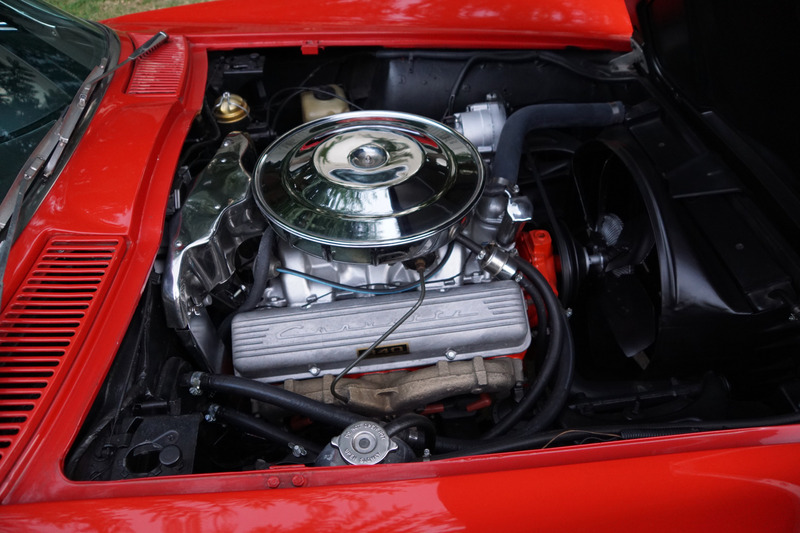 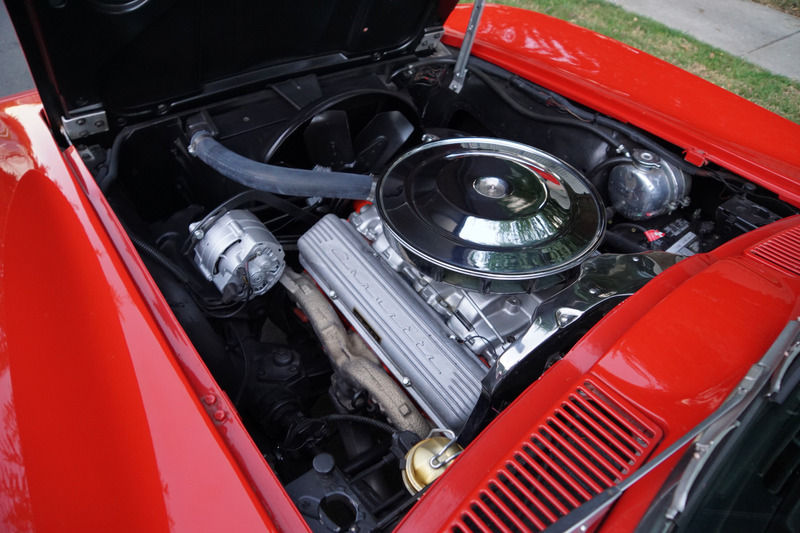 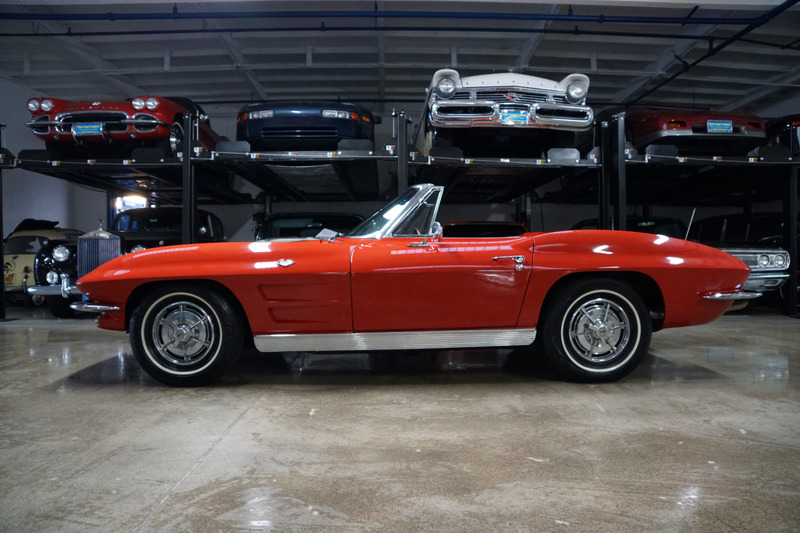 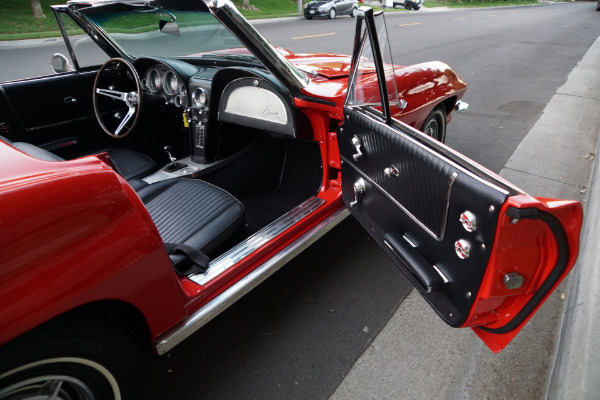 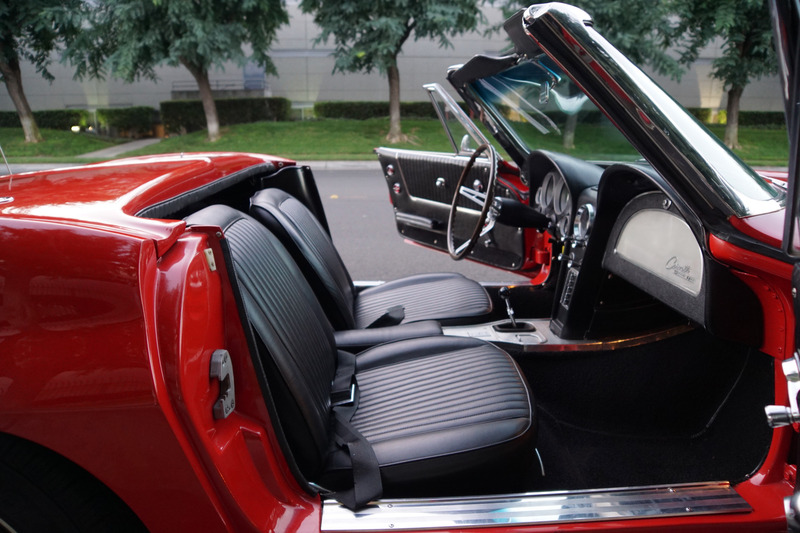 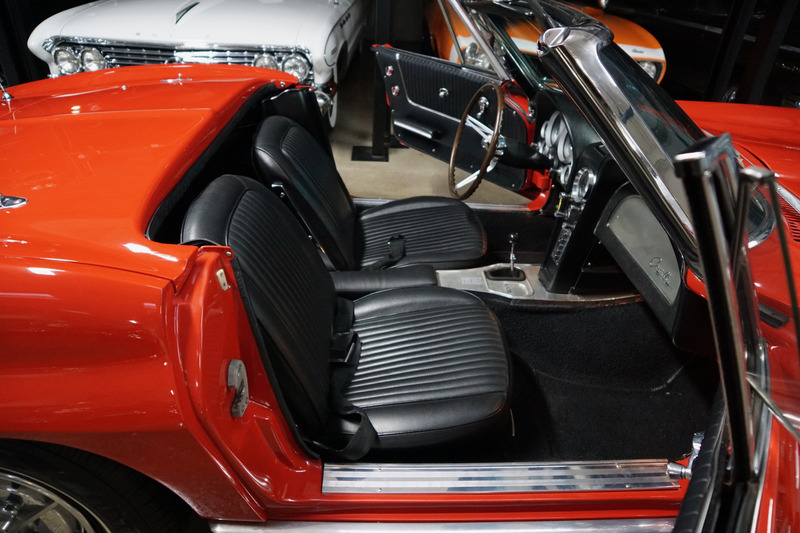 This particular example, in striking 'Riverside Red' with an original 4 speed manual transmission is sure to prove a most worthy investment for any Corvette collector or classic American car enthusiast!